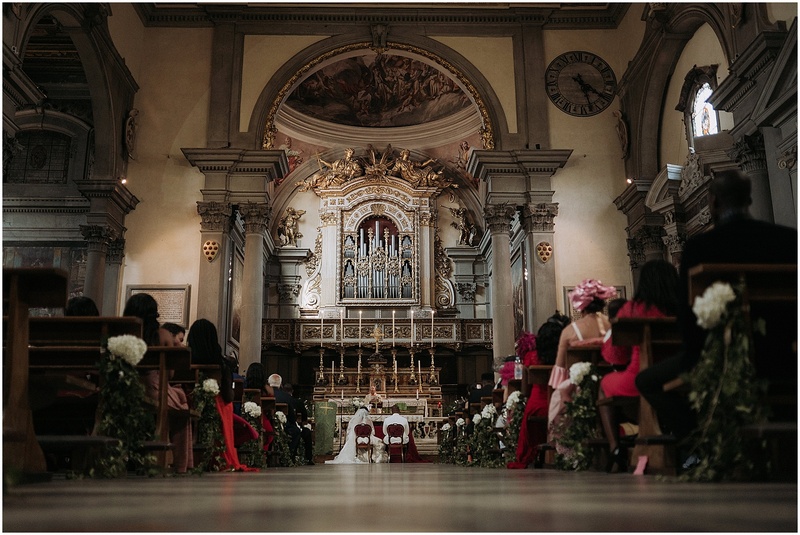 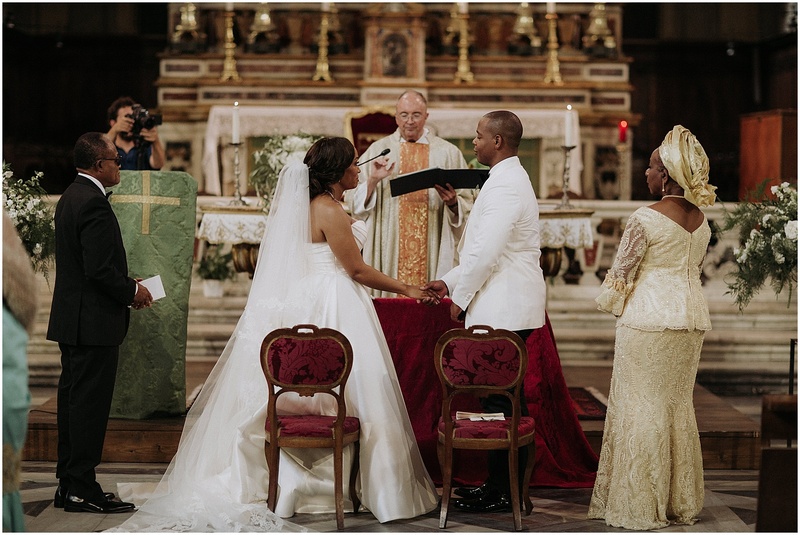 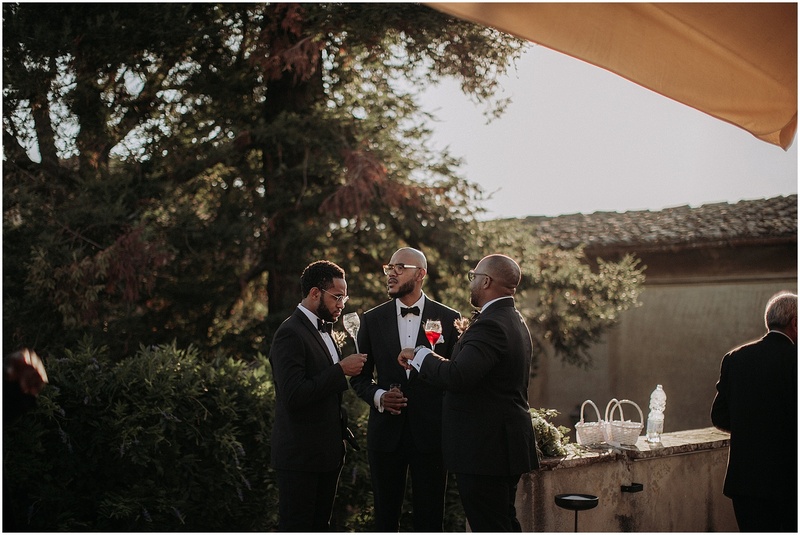 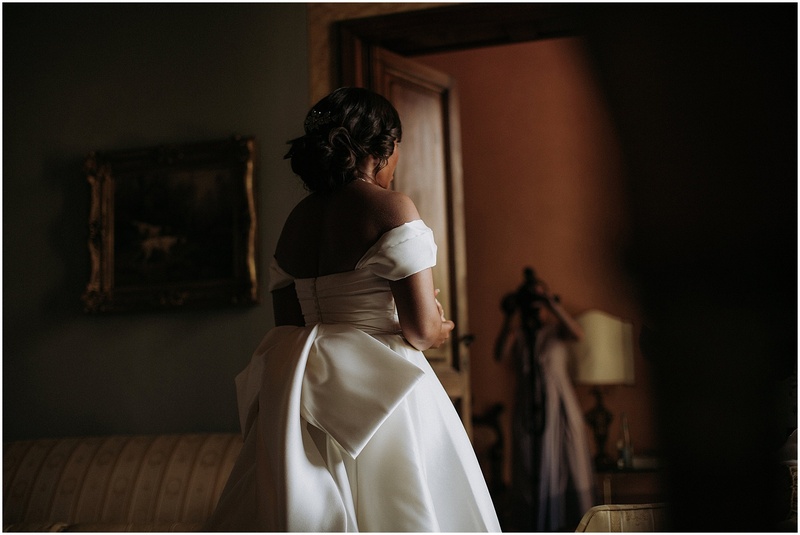 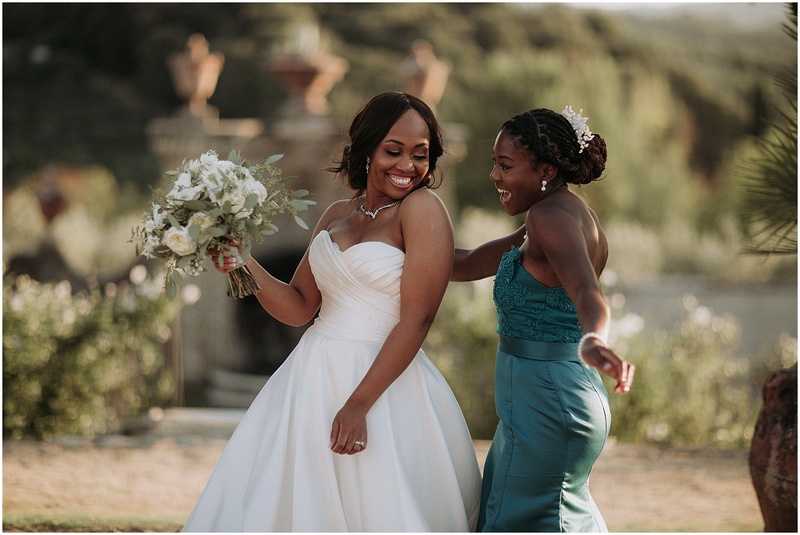 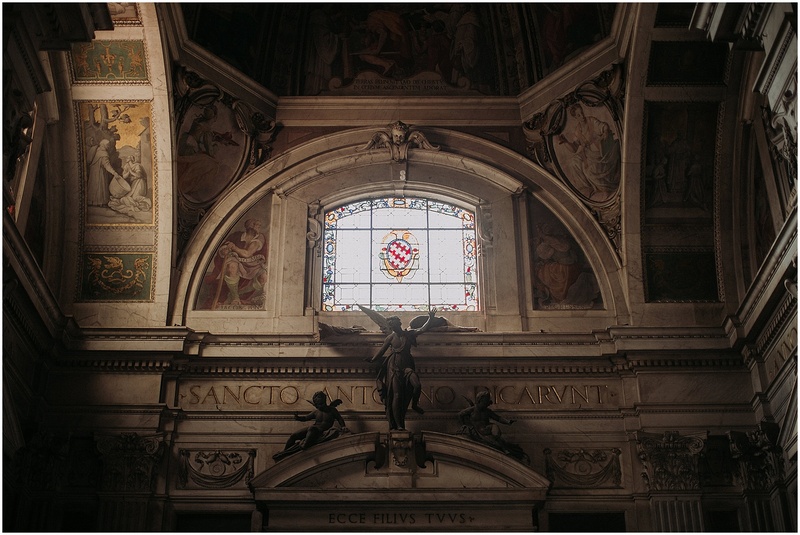 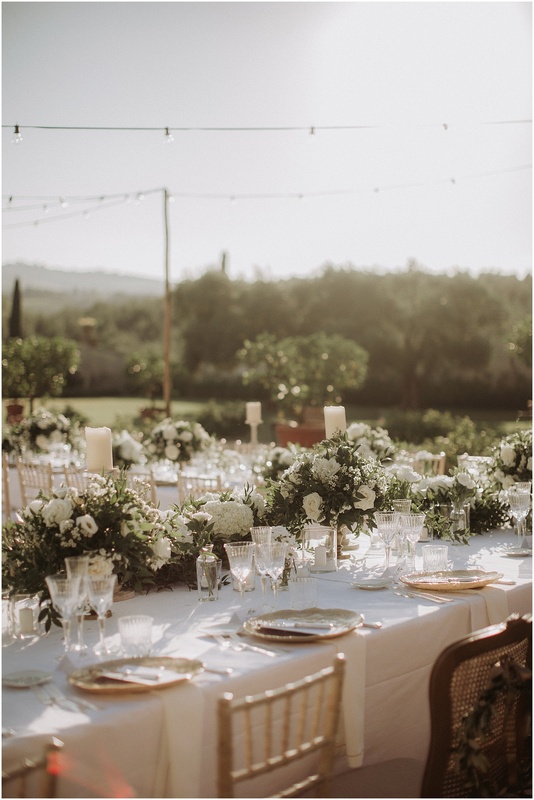 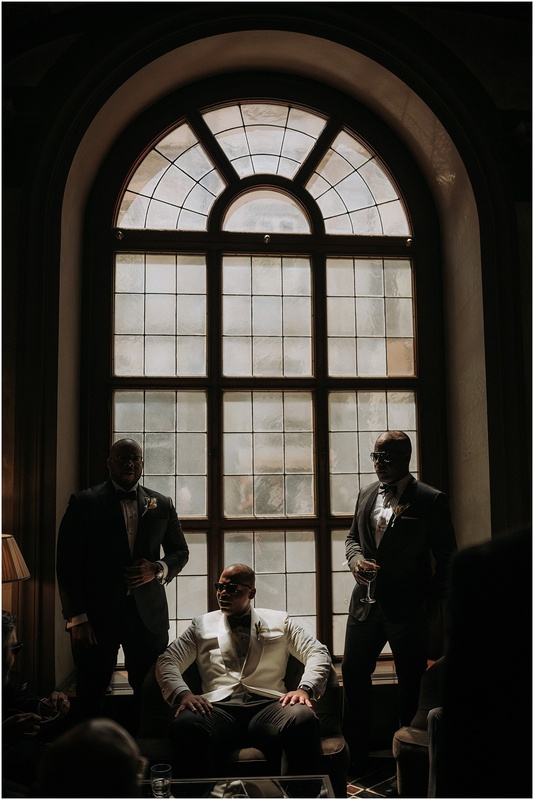 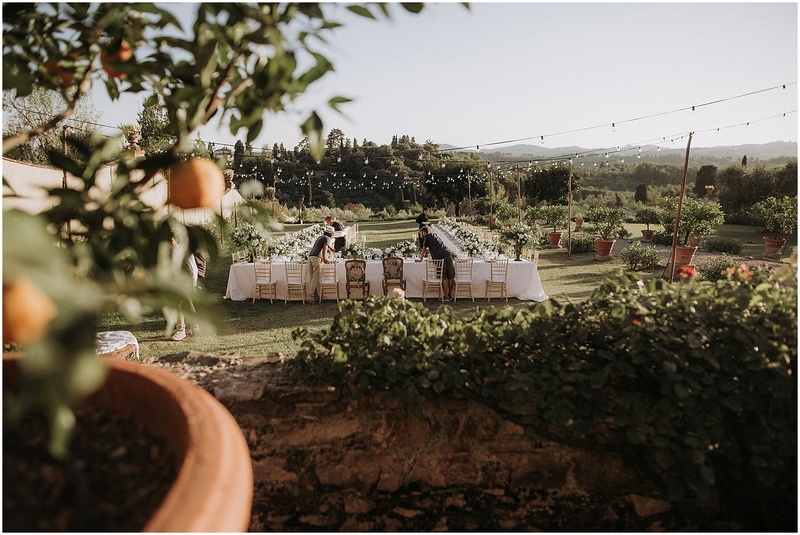 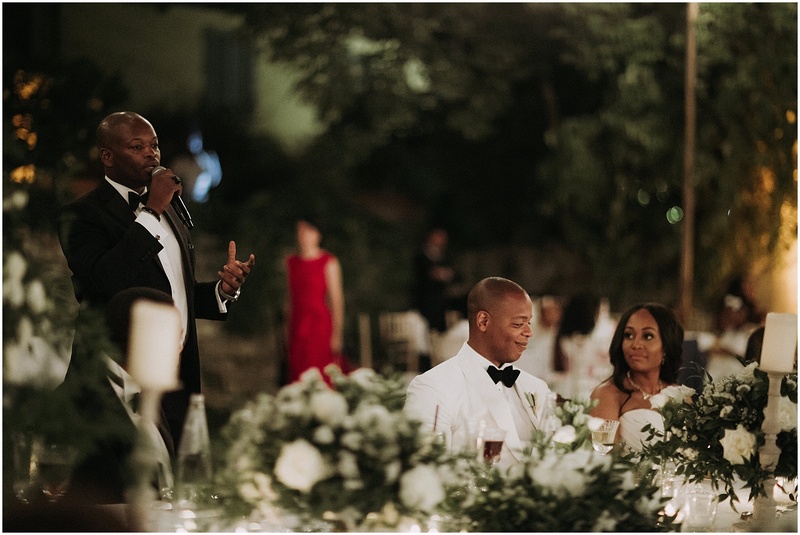 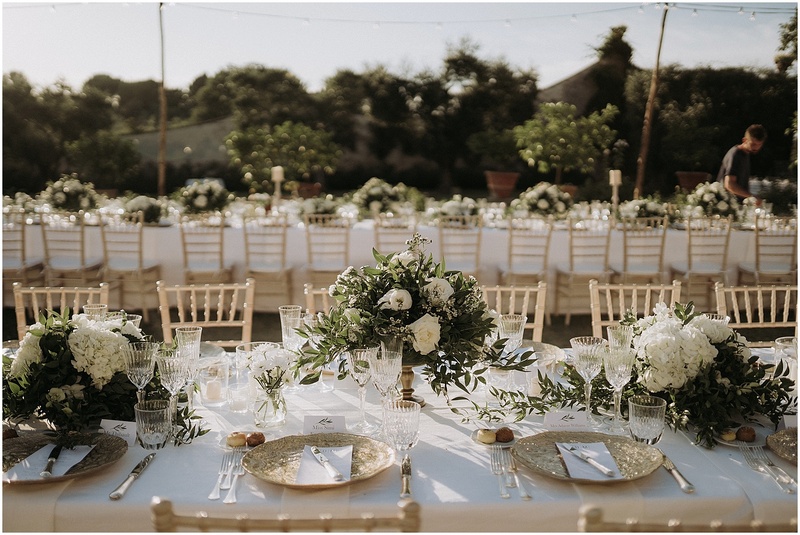 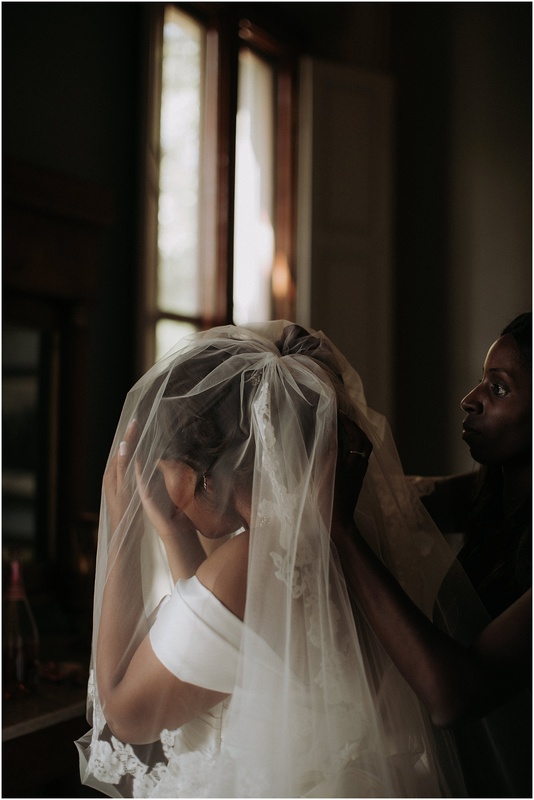 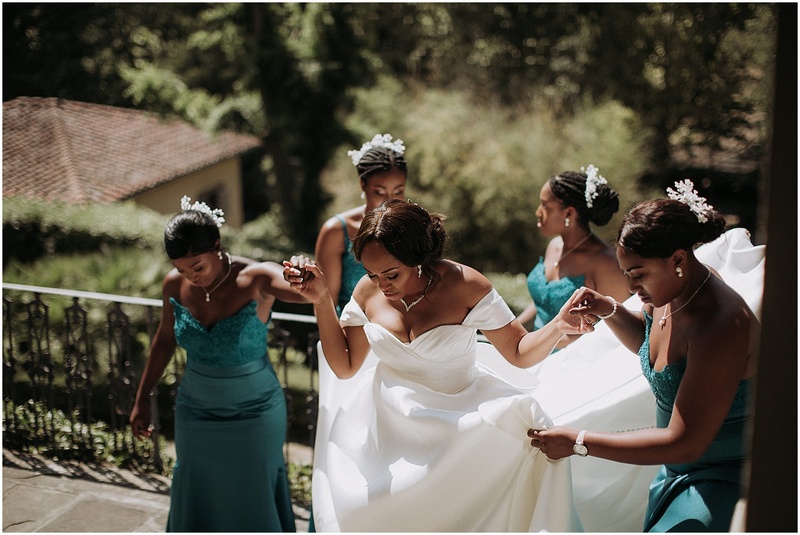 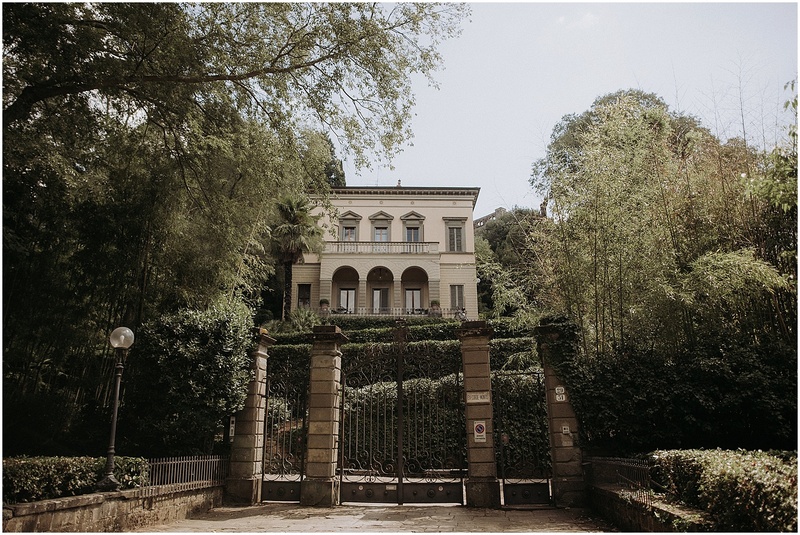 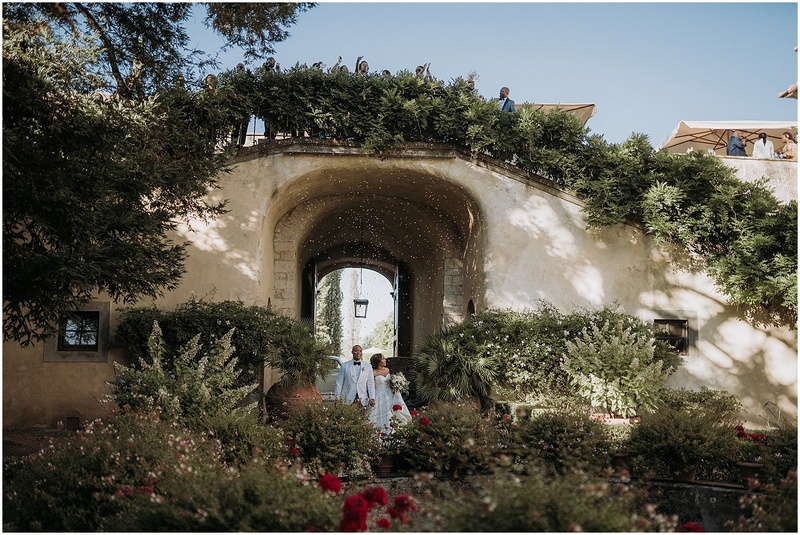 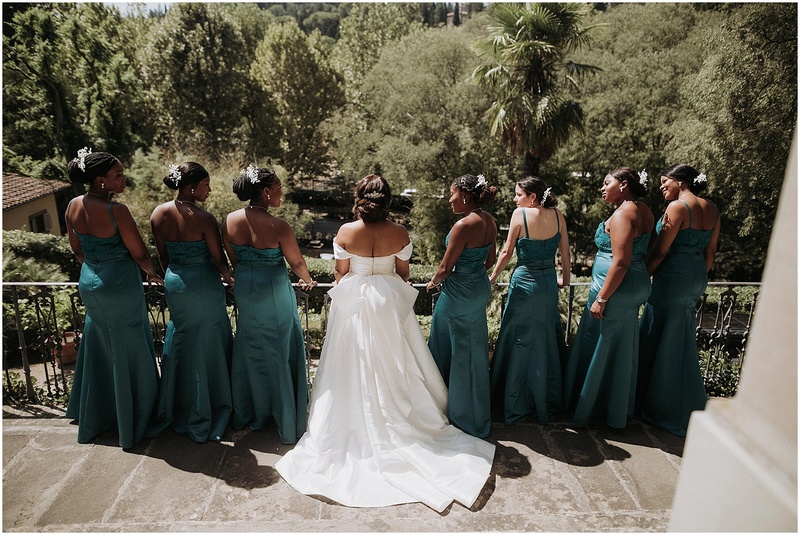 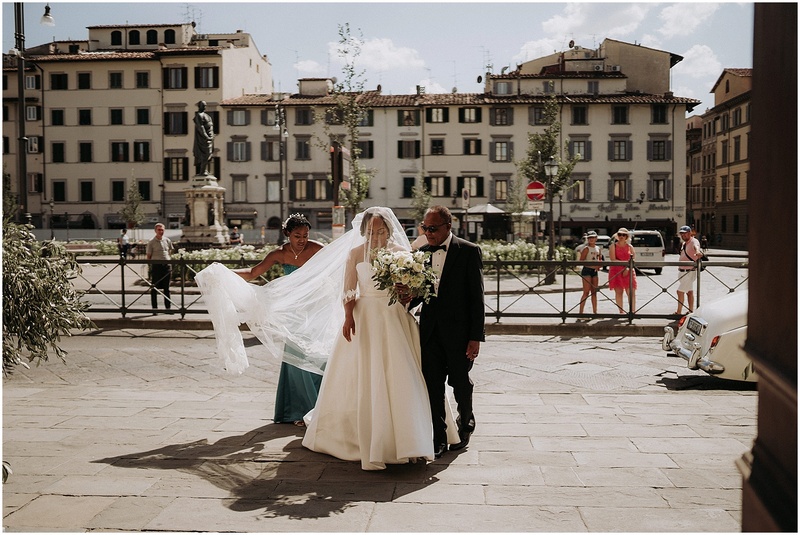 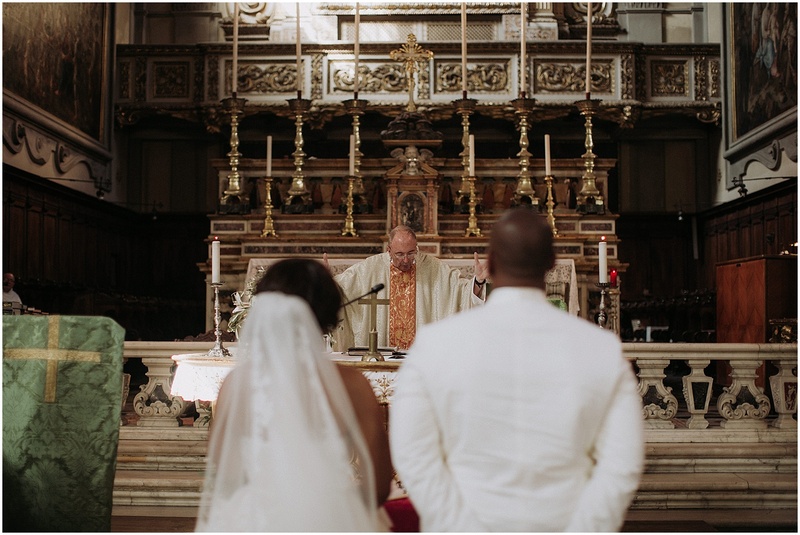 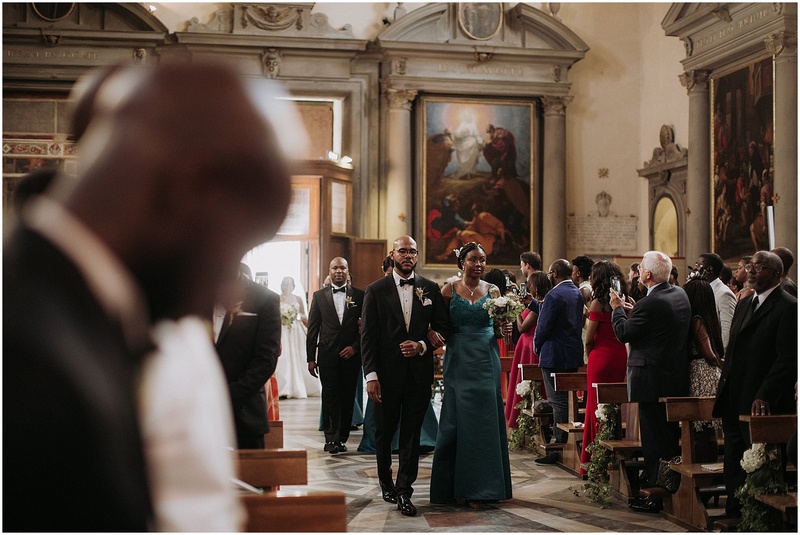 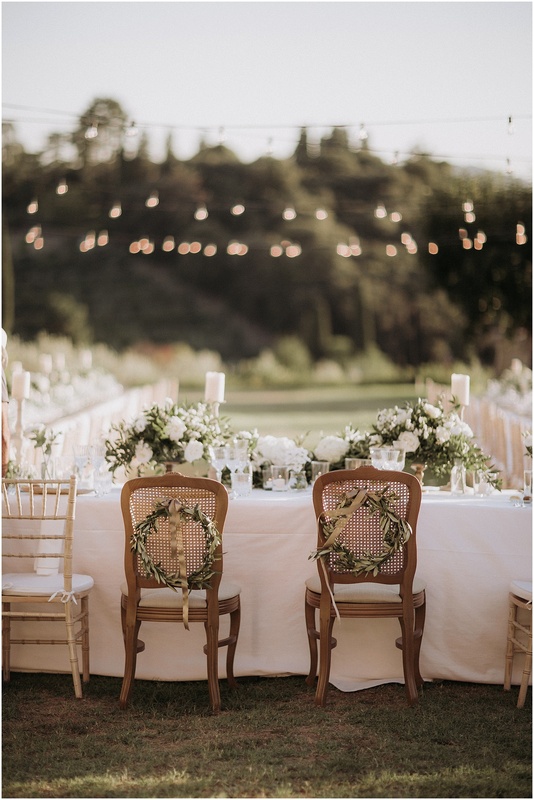 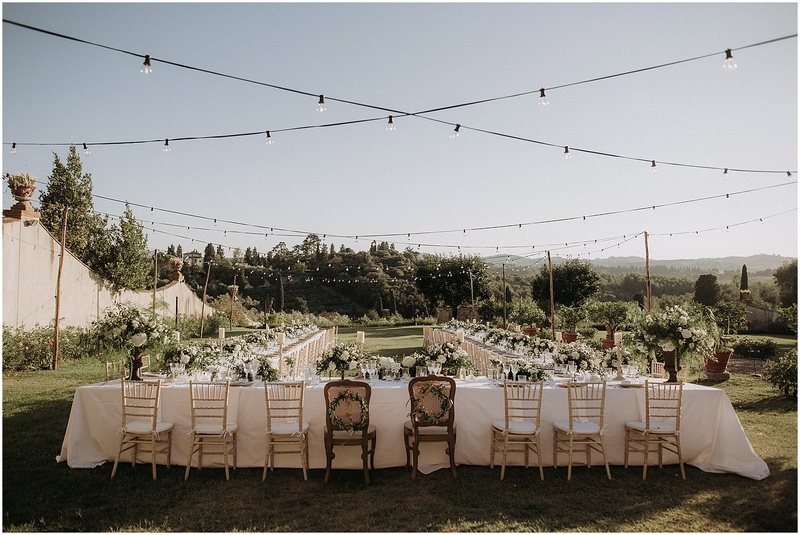 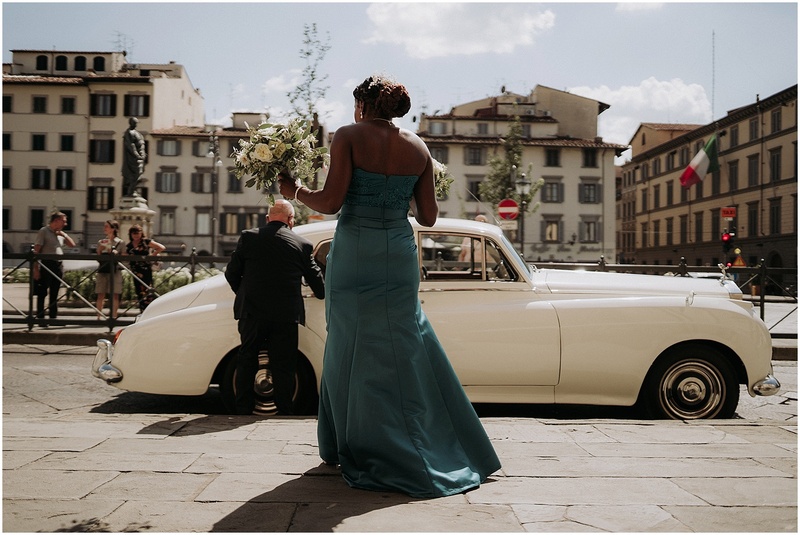 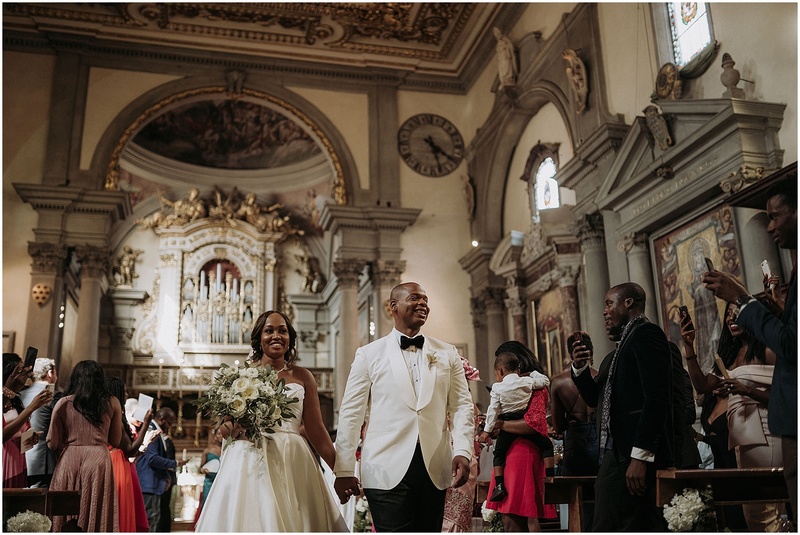 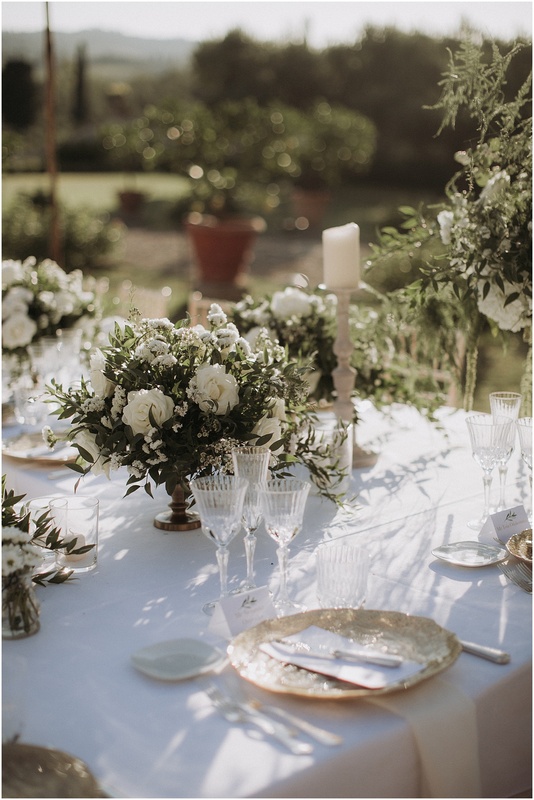 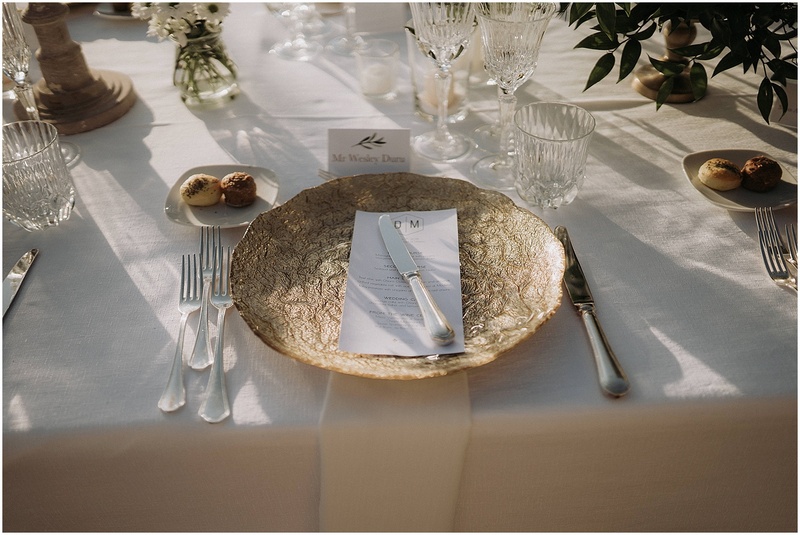 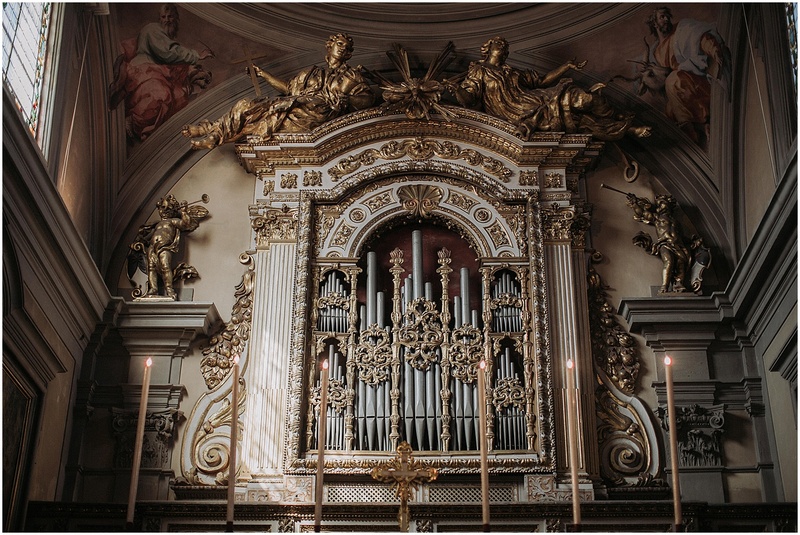 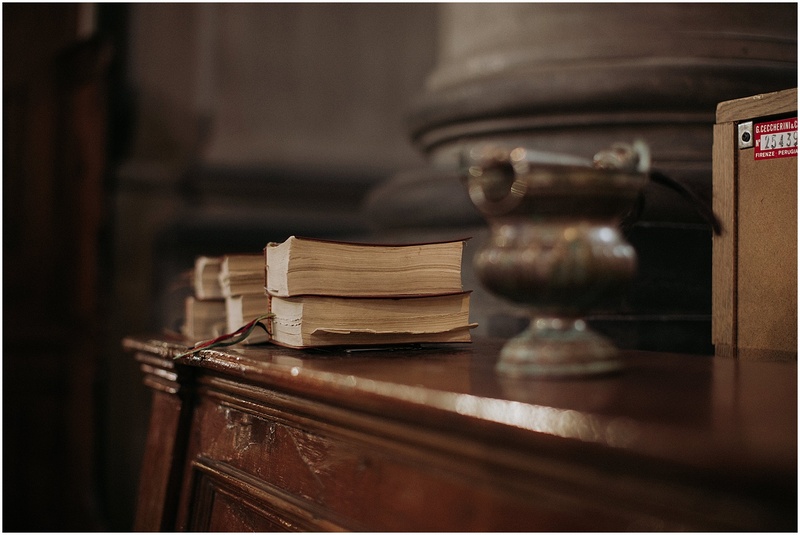 Usually we do not like the charts, but speaking about Villa Medicea di Lilliano we must make an exception and acknowledge that it is, at least for us, the most beautiful and fascinating wedding venue in Florence. 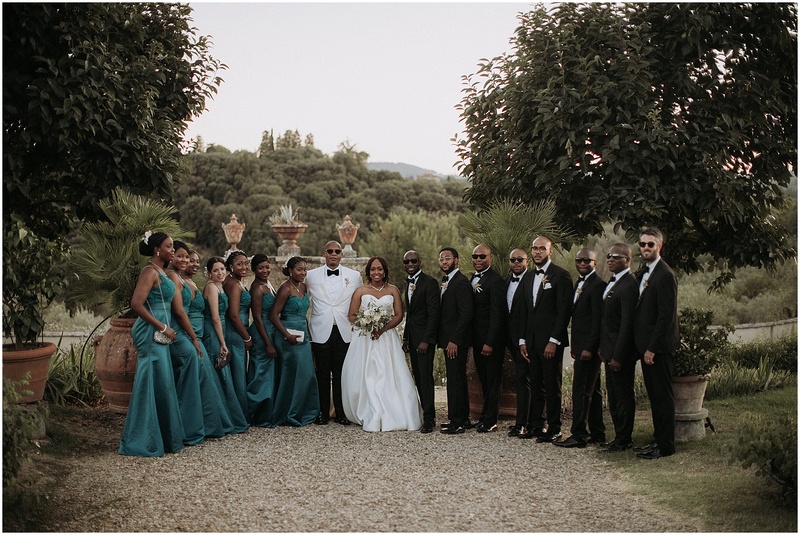 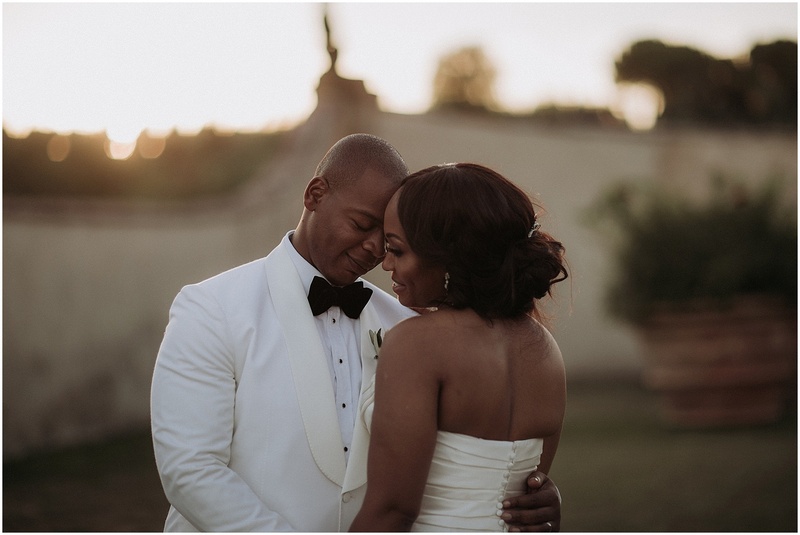 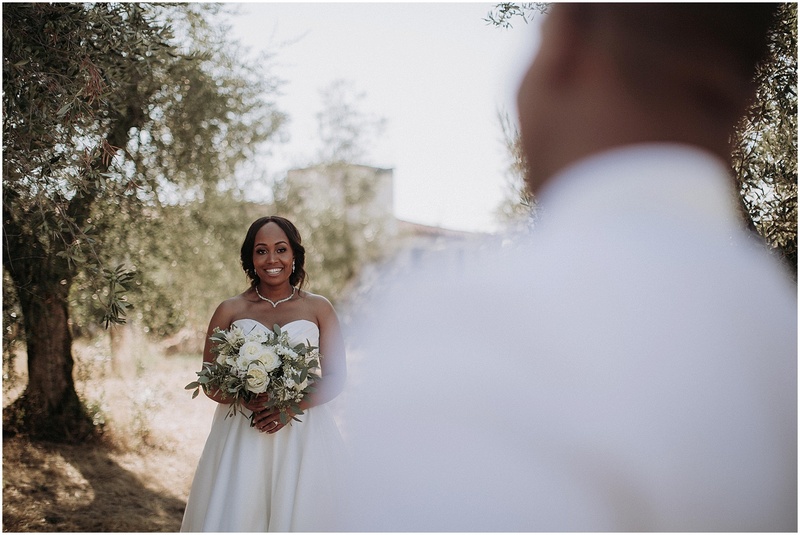 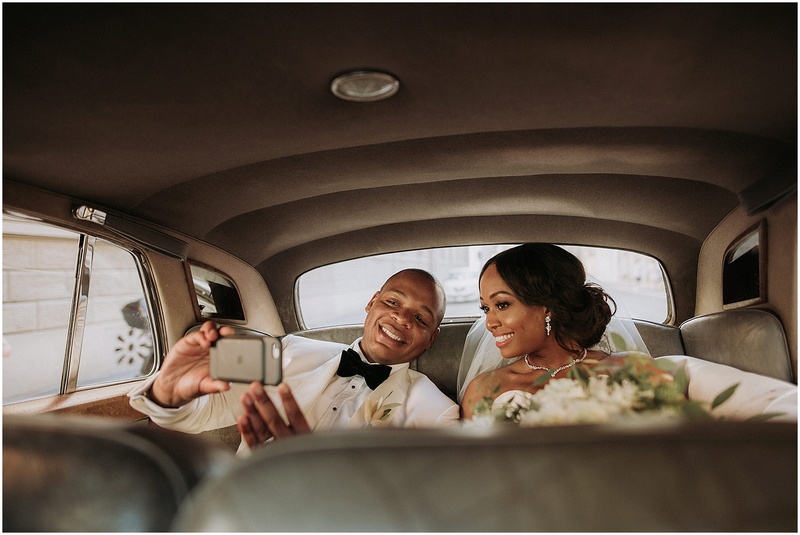 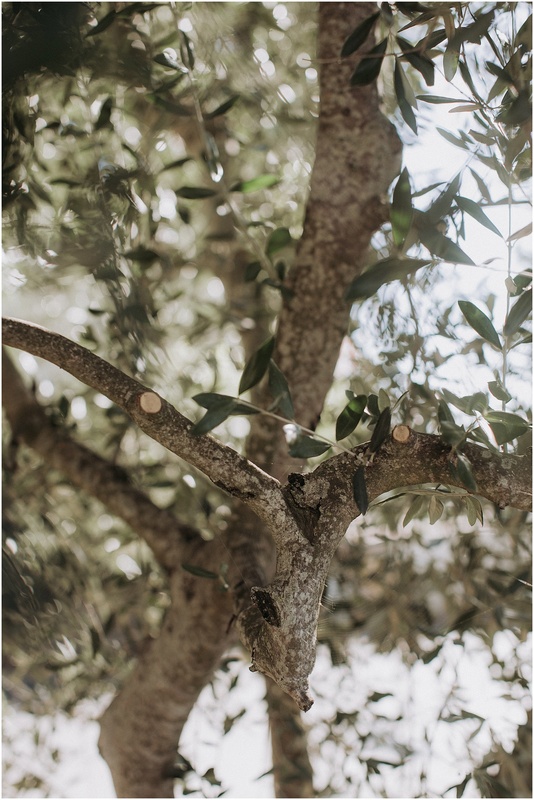 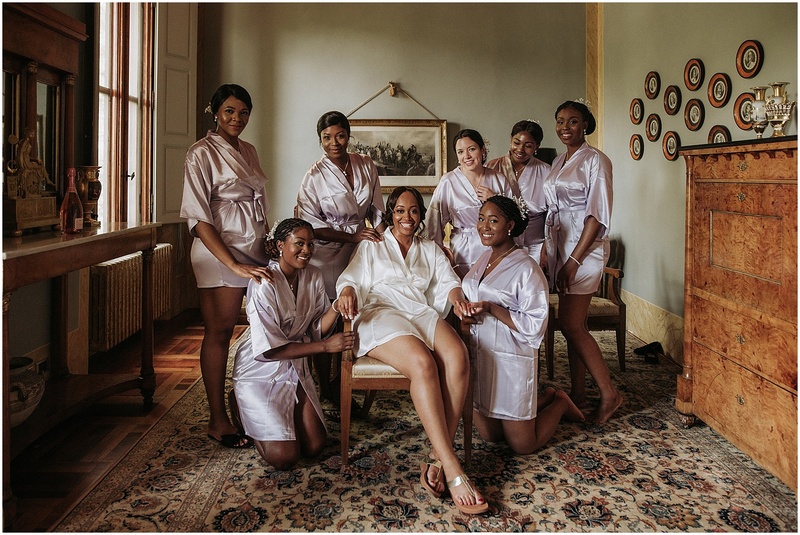 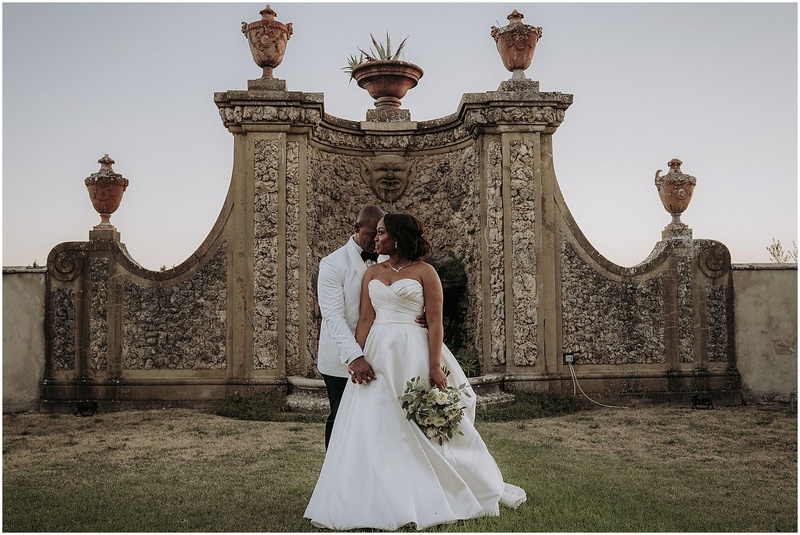 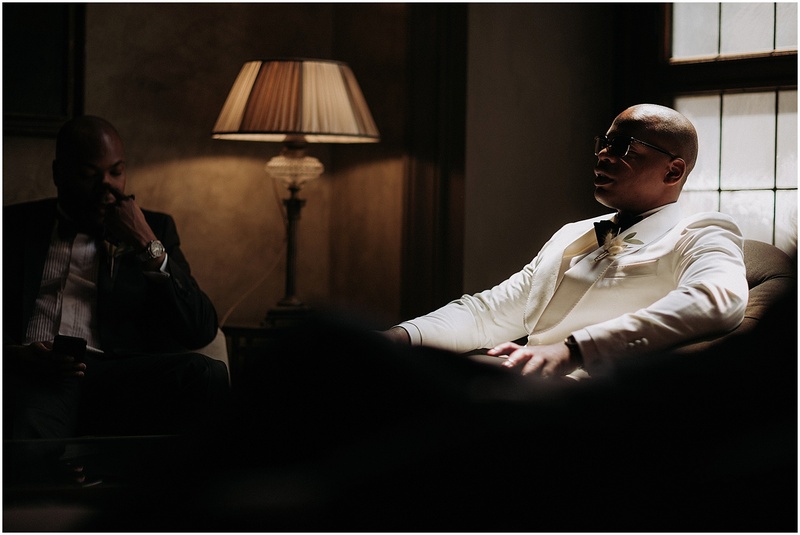 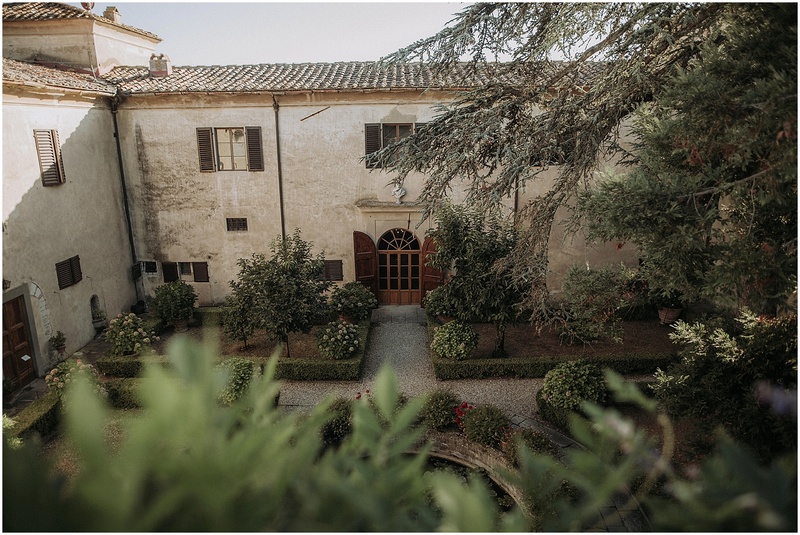 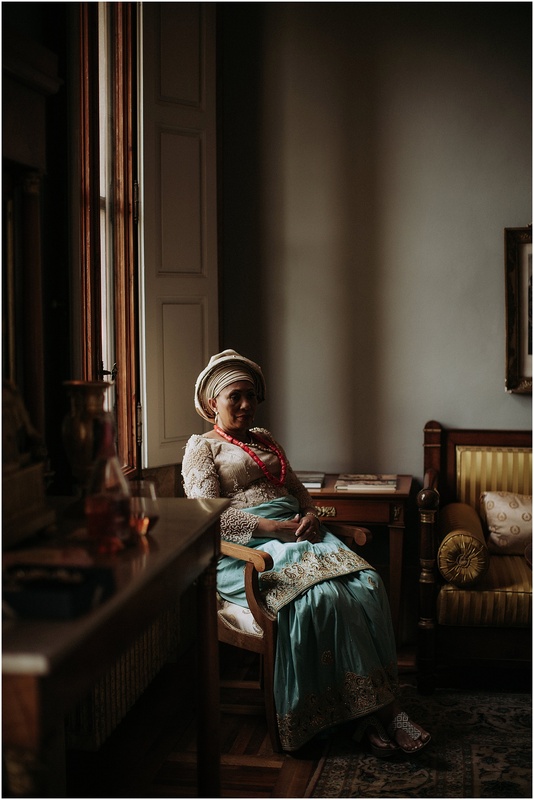 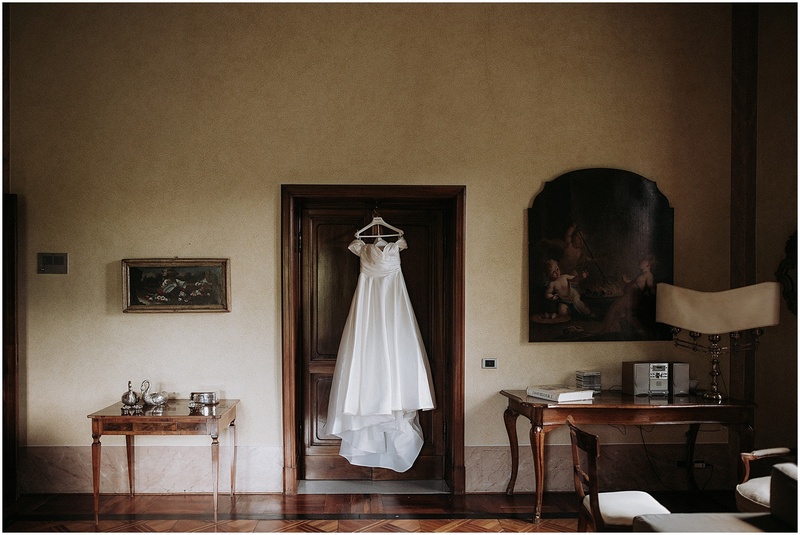 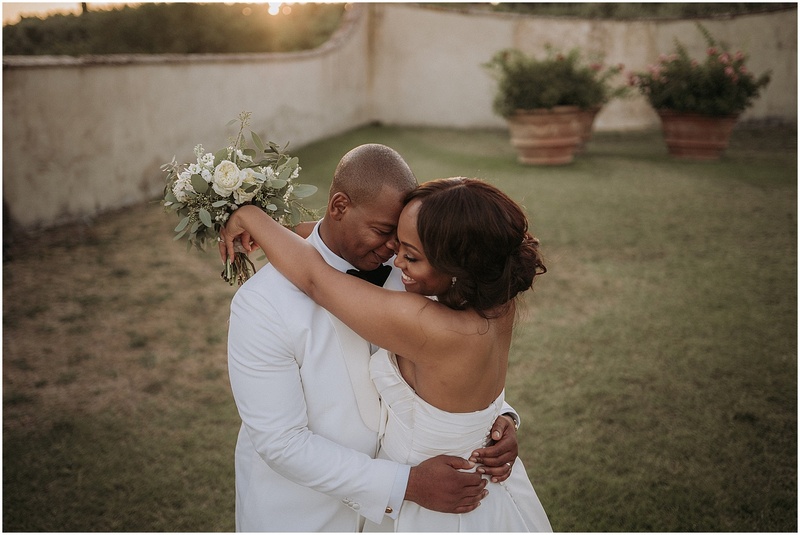 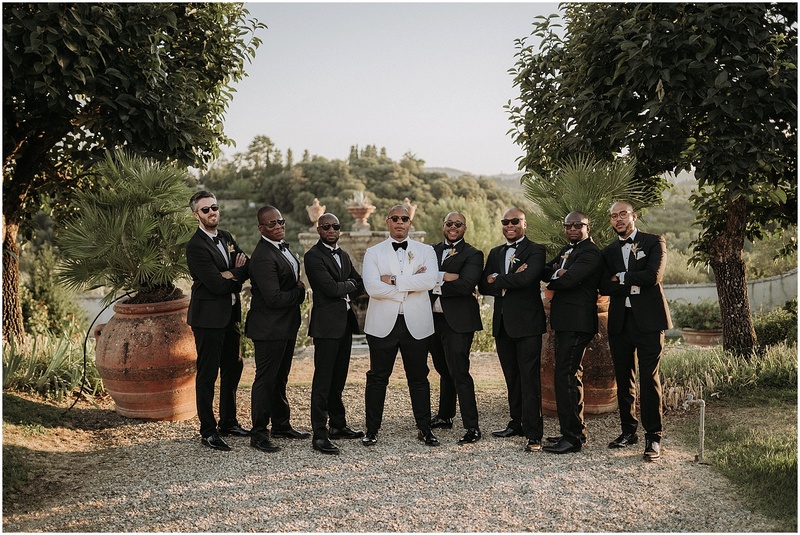 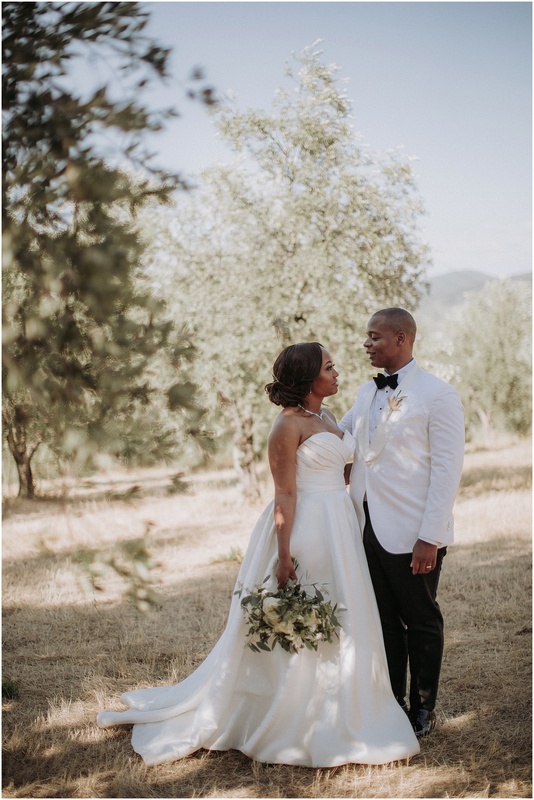 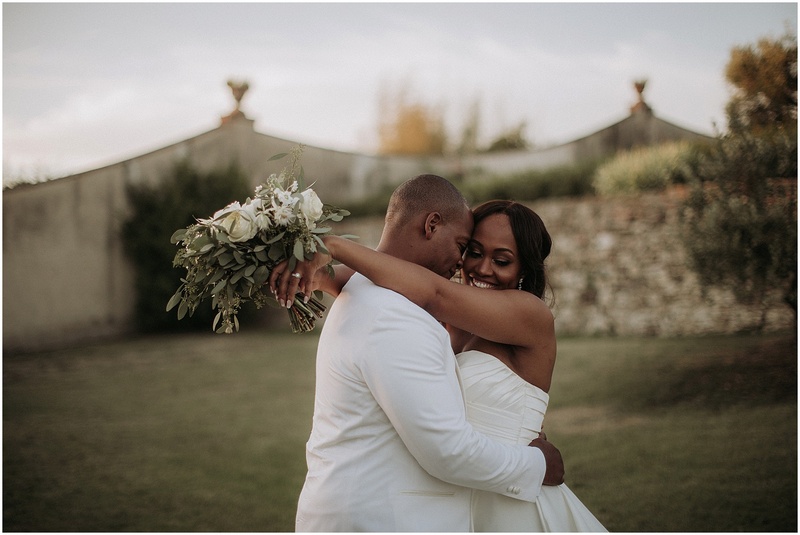 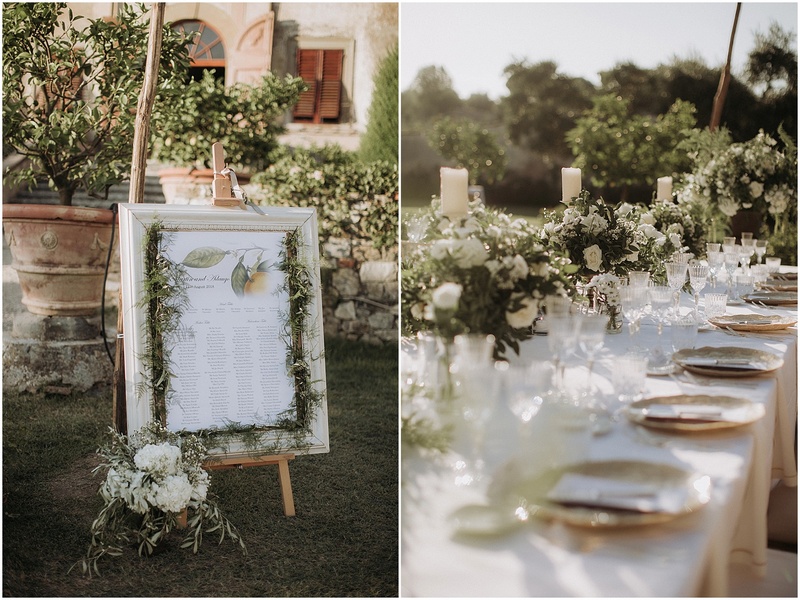 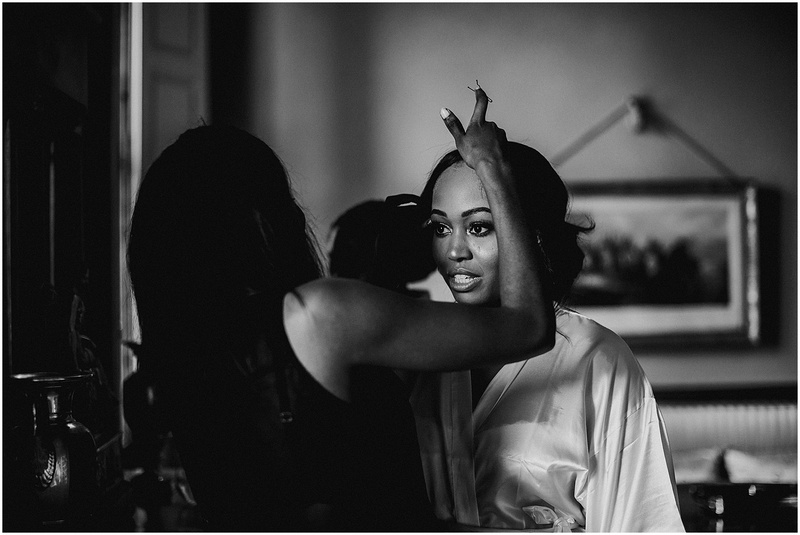 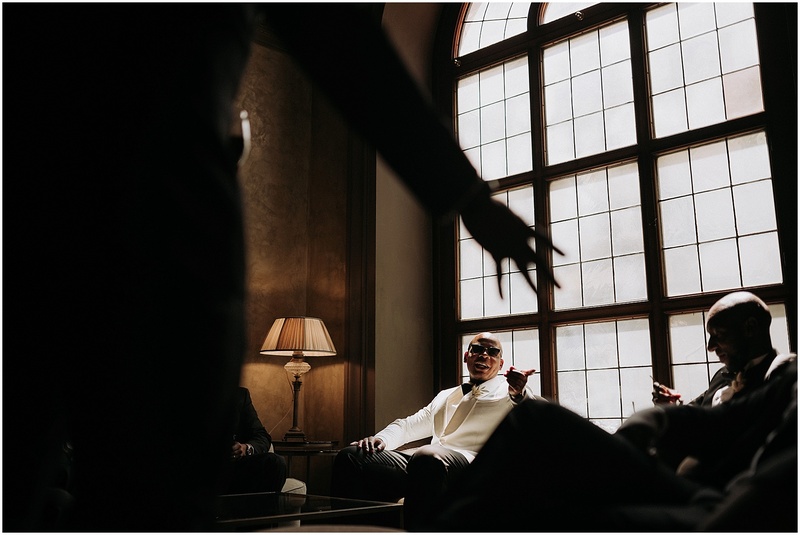 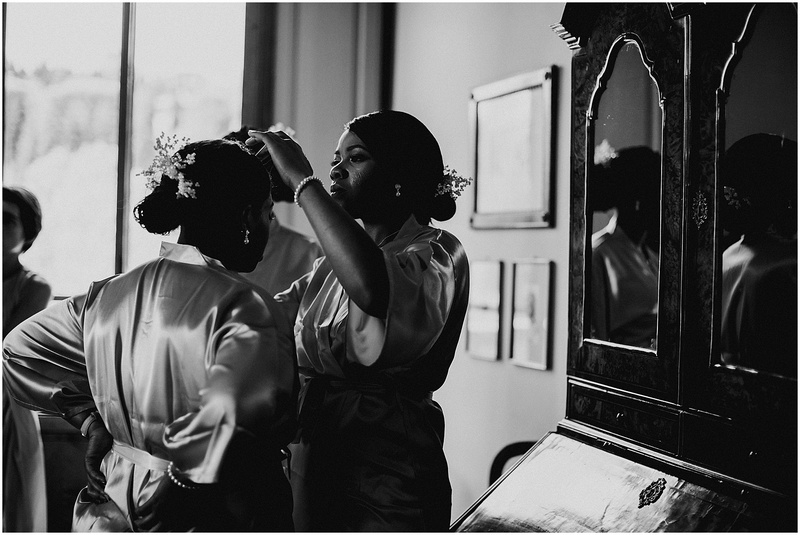 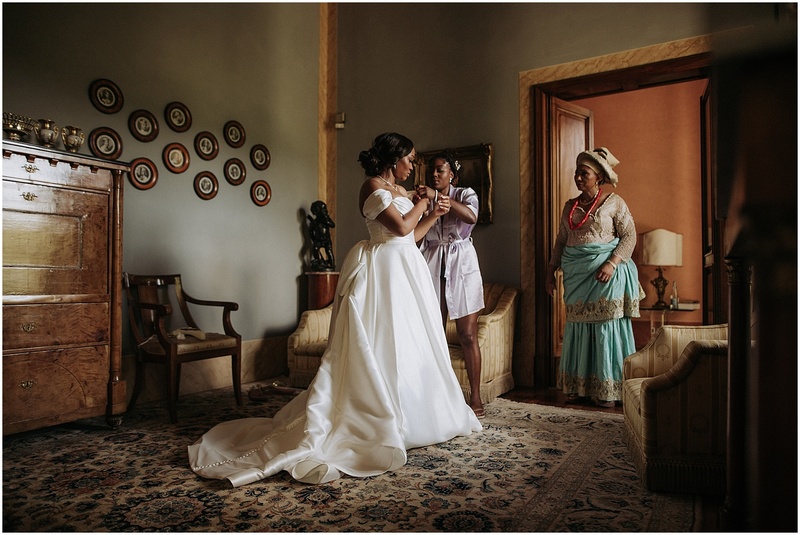 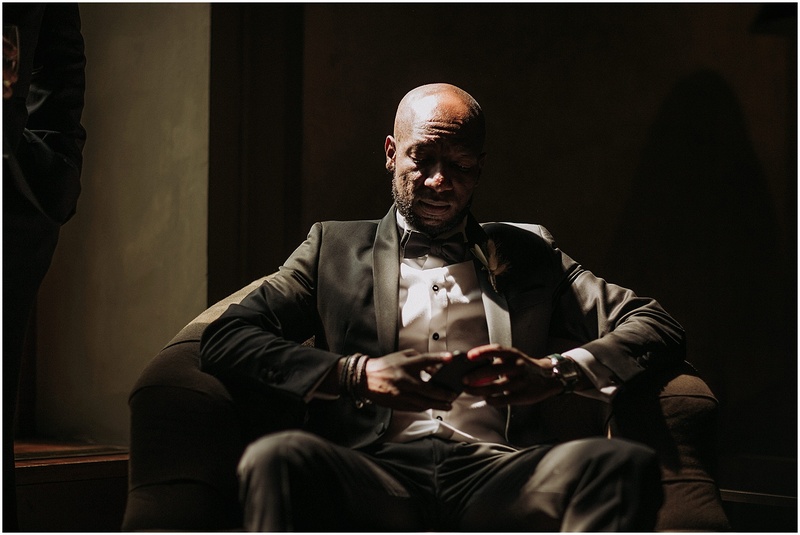 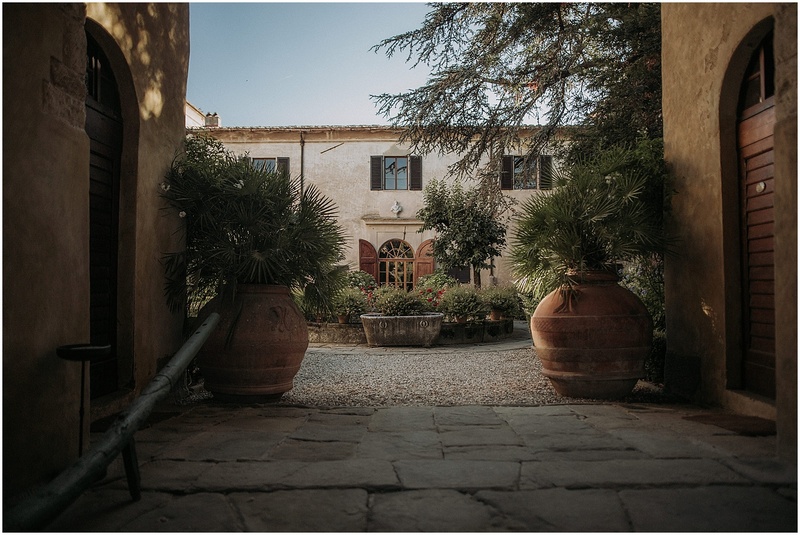 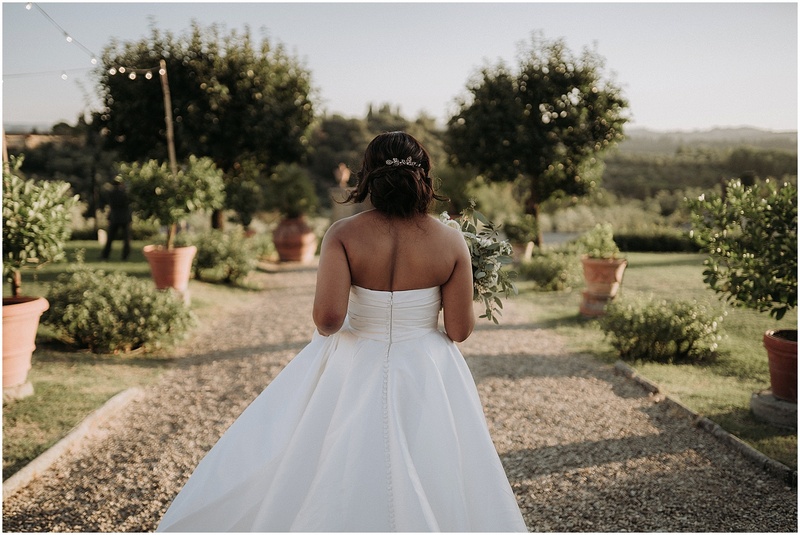 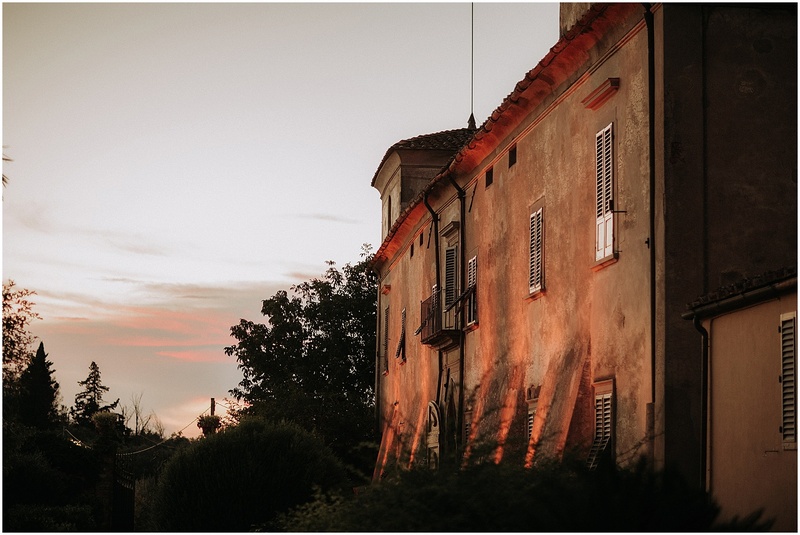 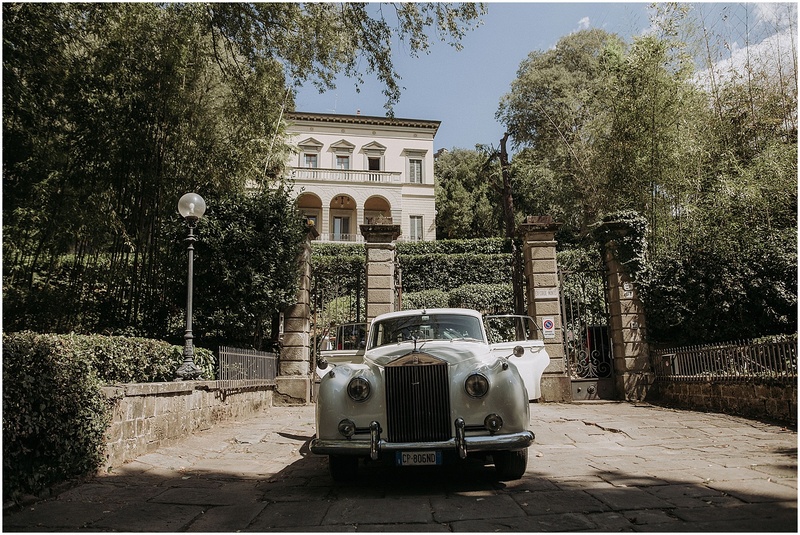 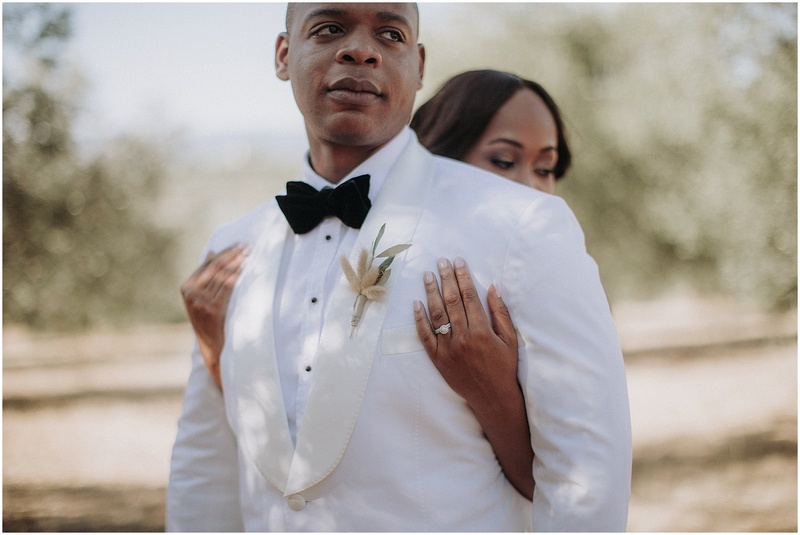 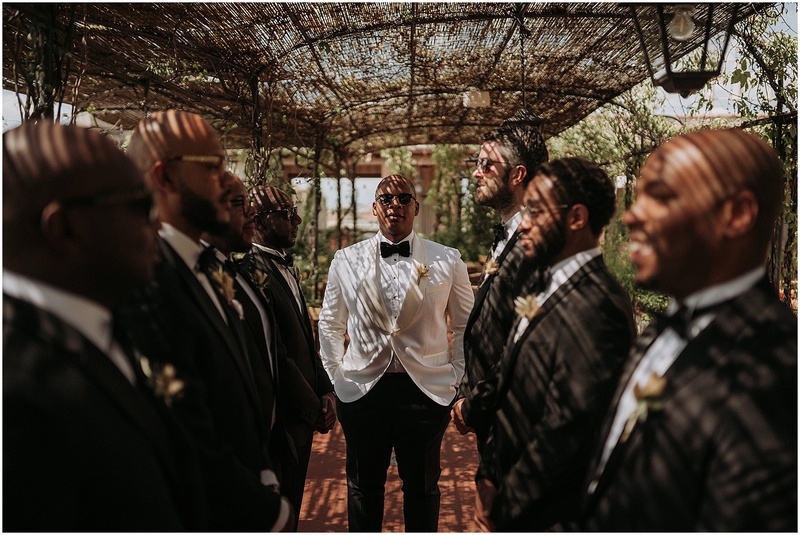 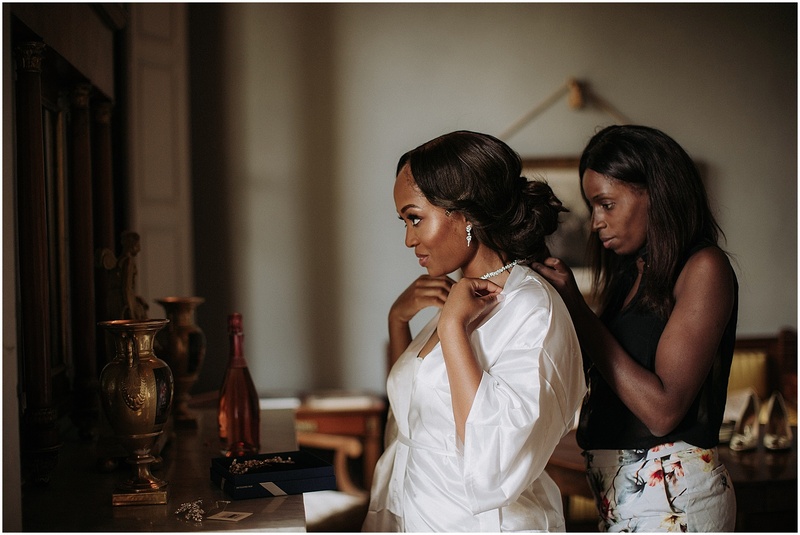 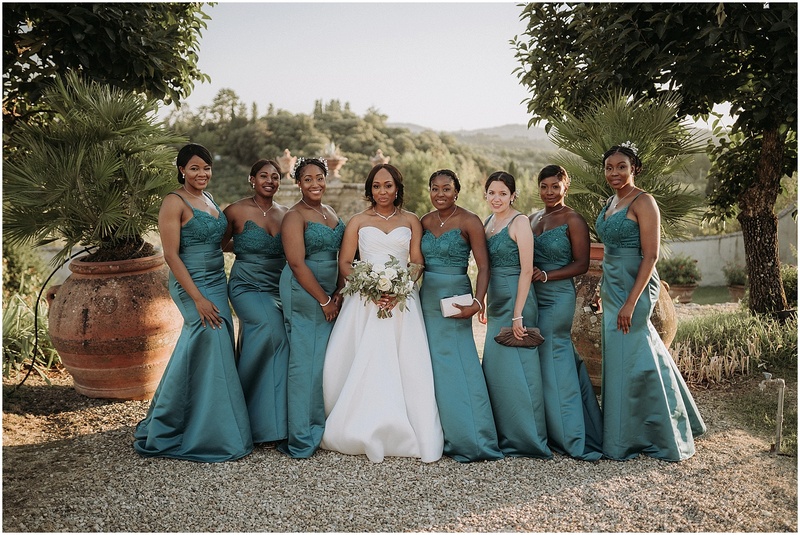 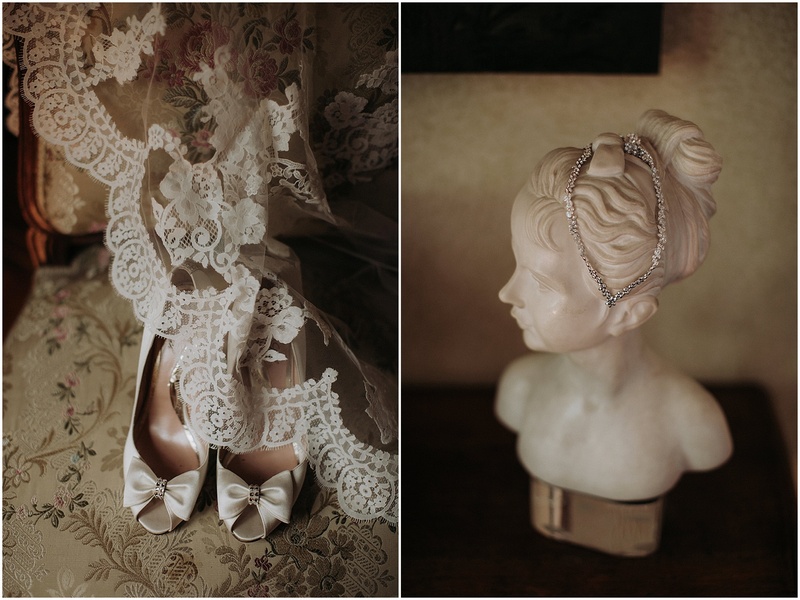 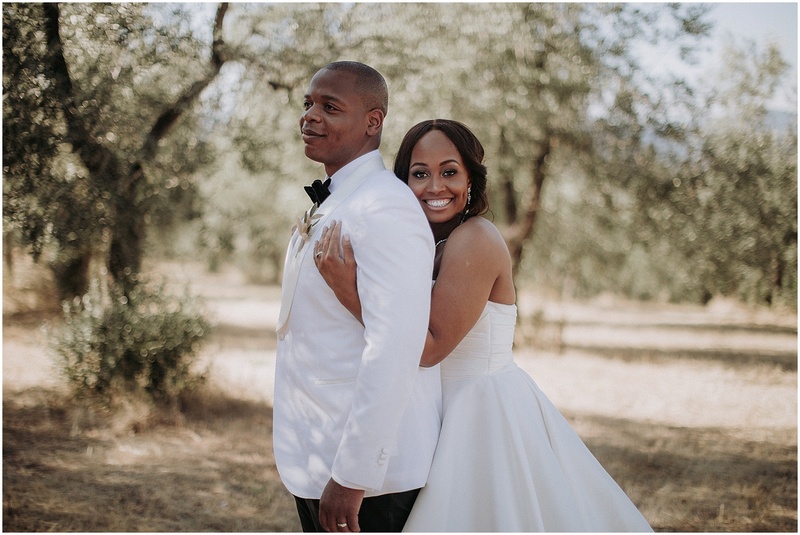 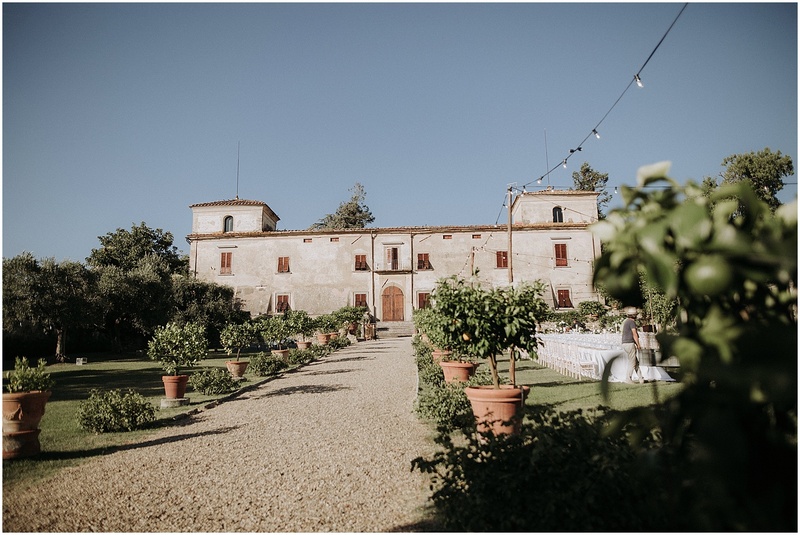 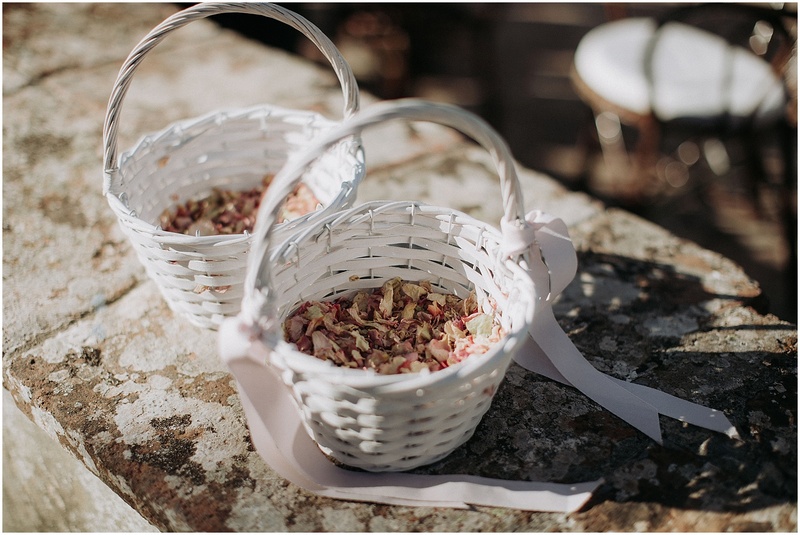 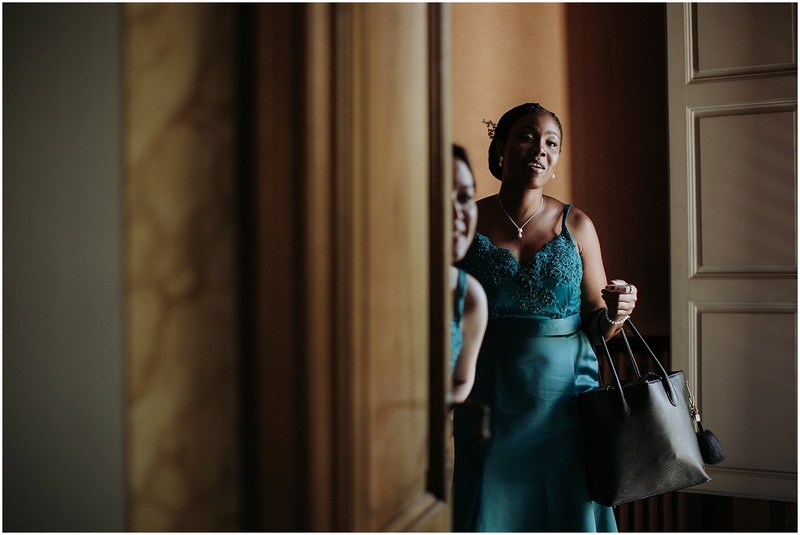 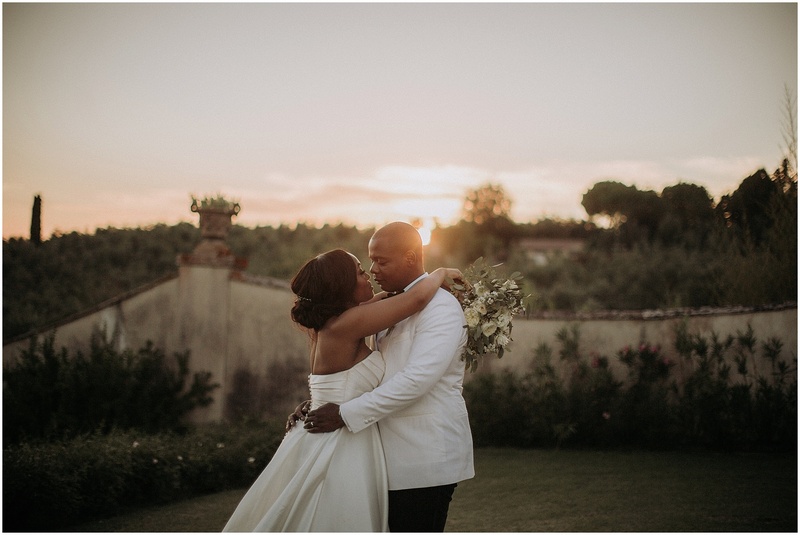 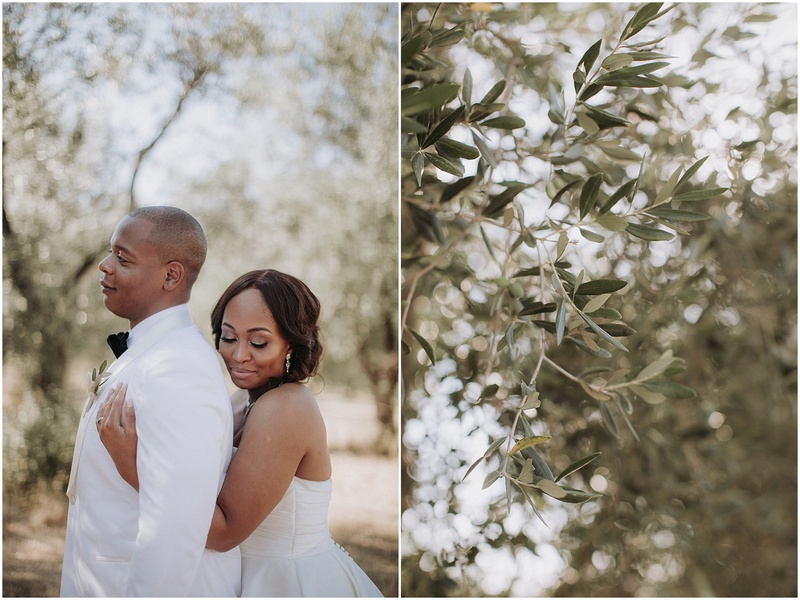 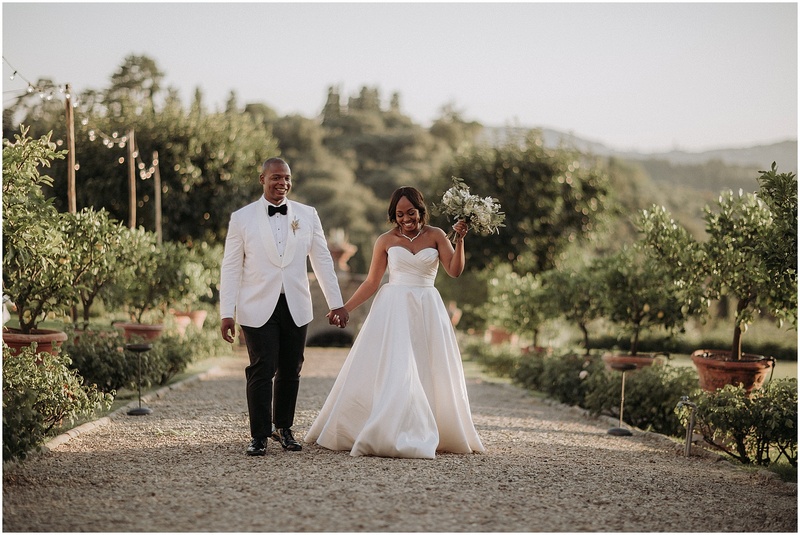 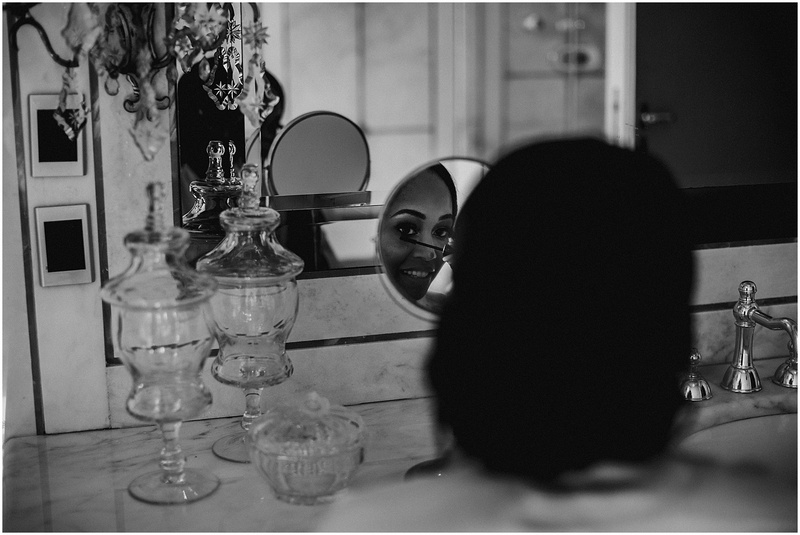 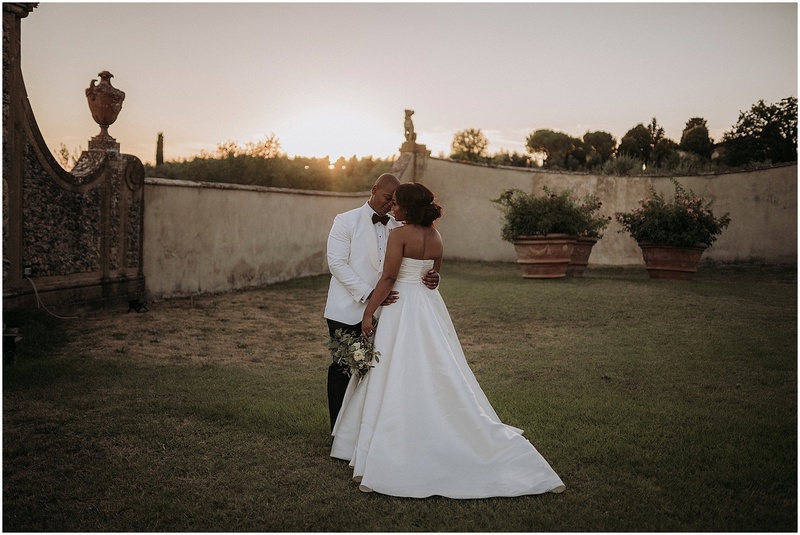 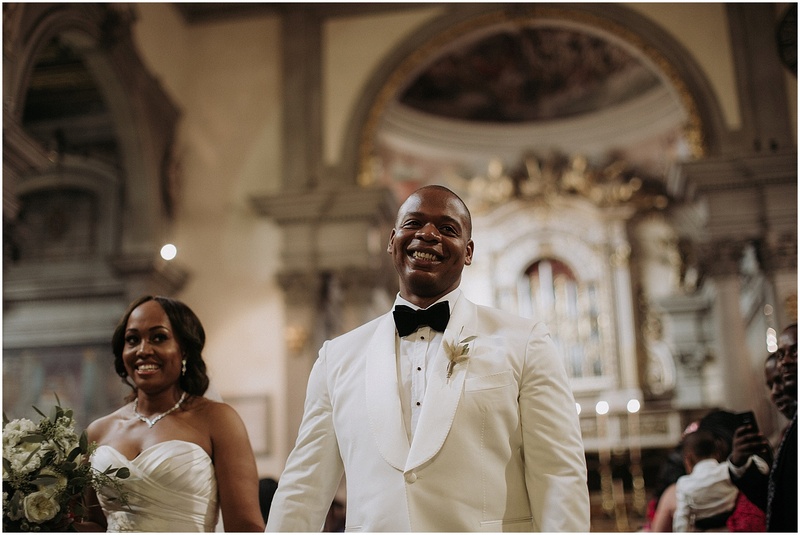 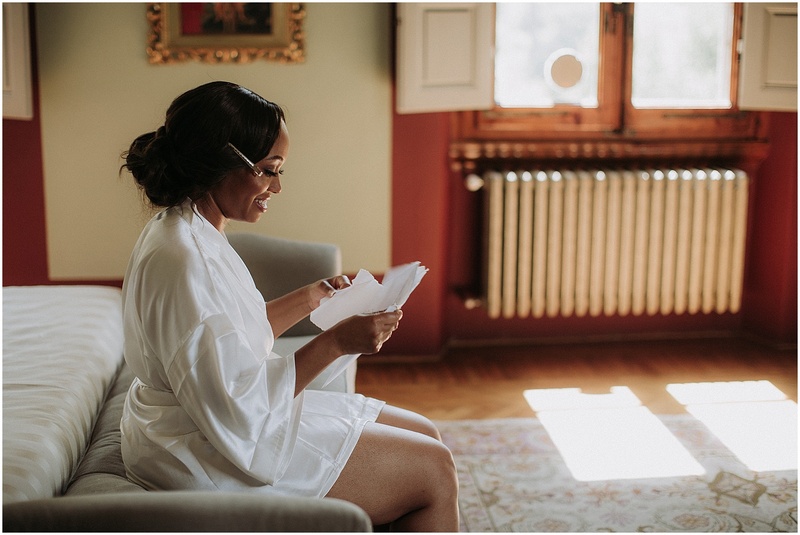 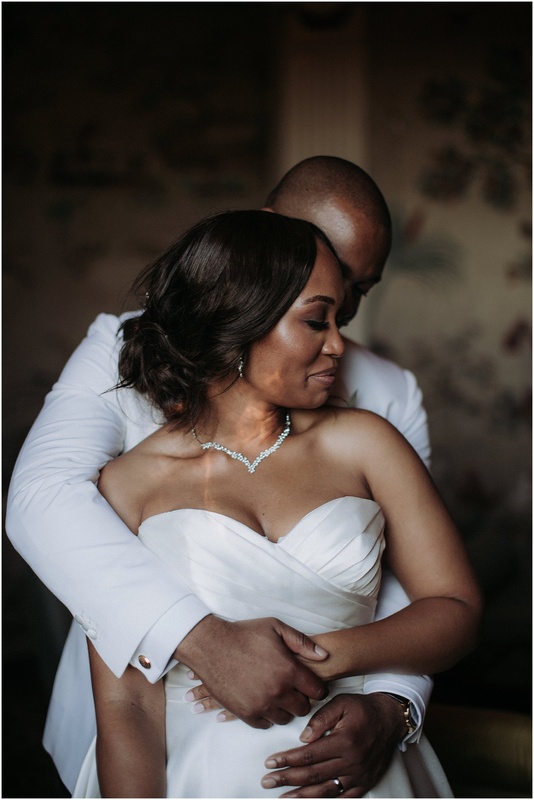 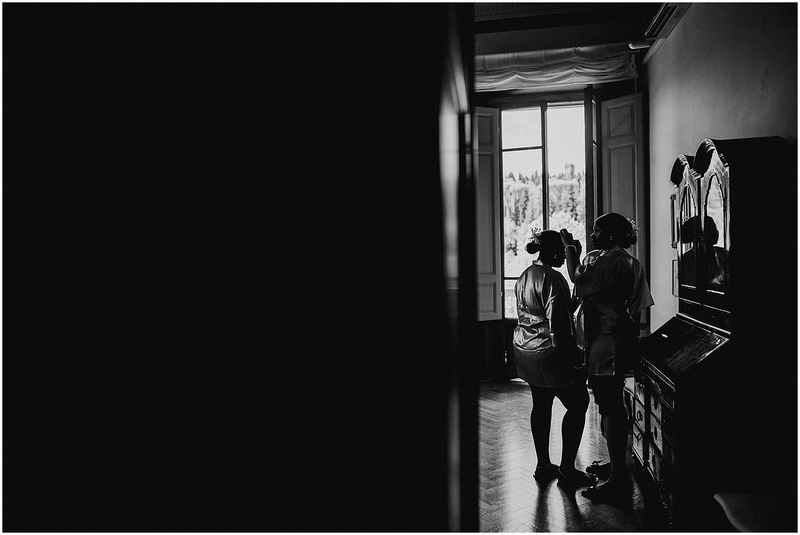 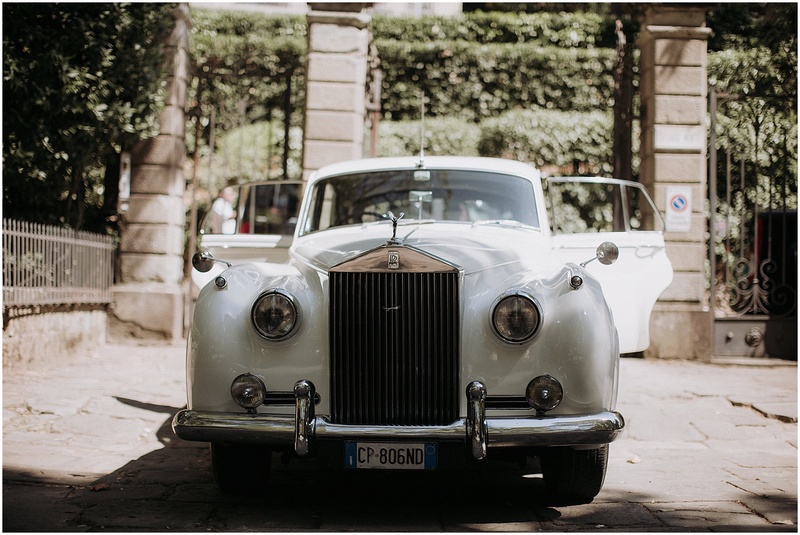 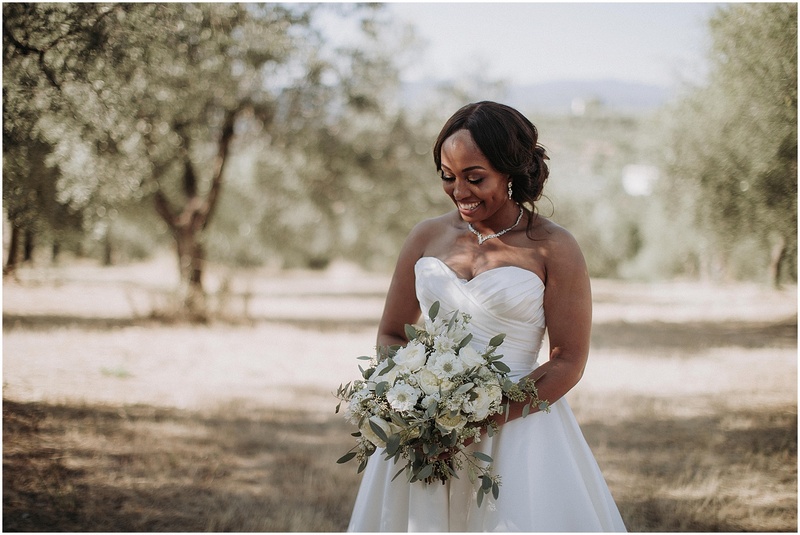 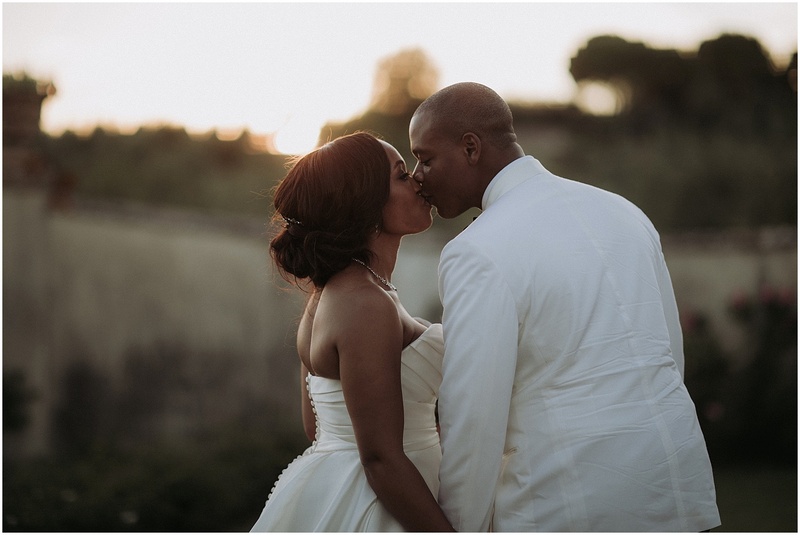 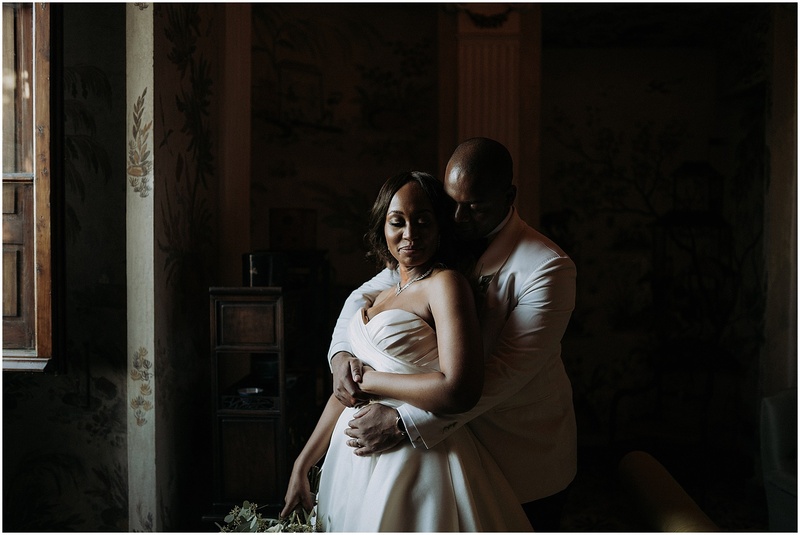 Adaugo and Martin could not therefore choose better for their destination wedding in Italy, and we cannot hide that we too have long dreamed of photographing in this wonderful historic villa. 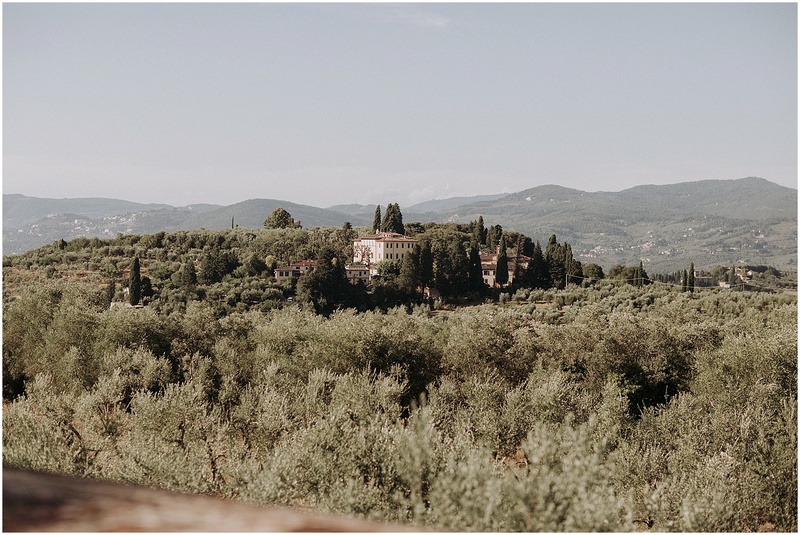 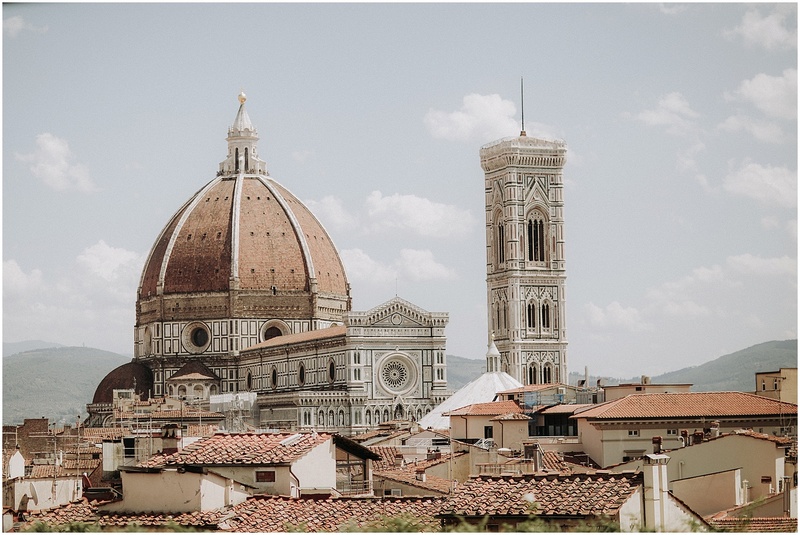 Despite being just a quarter of an hour from the center of Florence, the impression is to be in the open countryside, surrounded by green vineyards and olive groves. 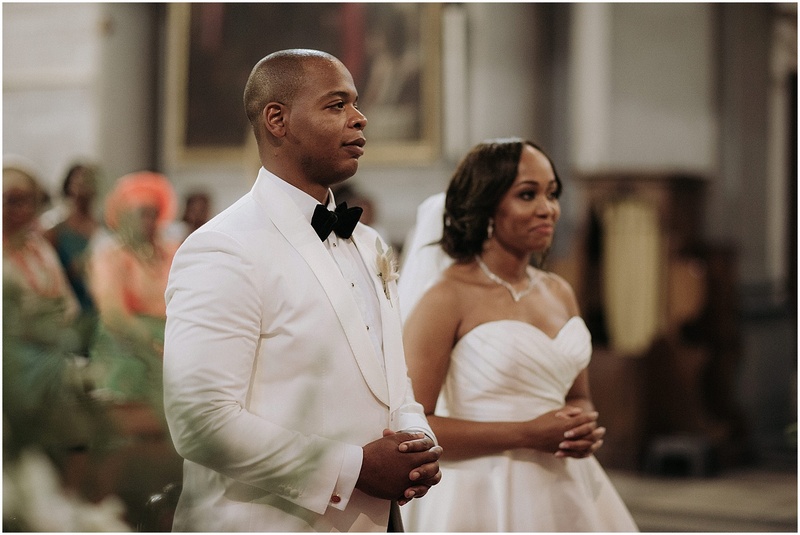 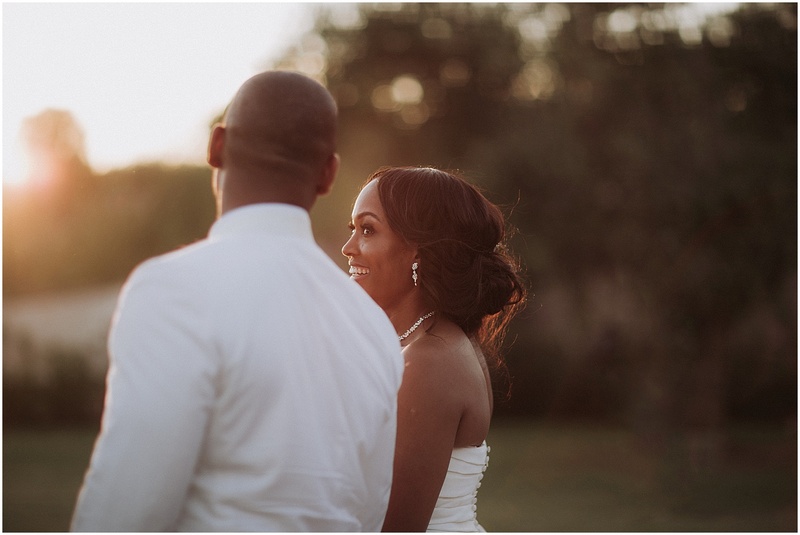 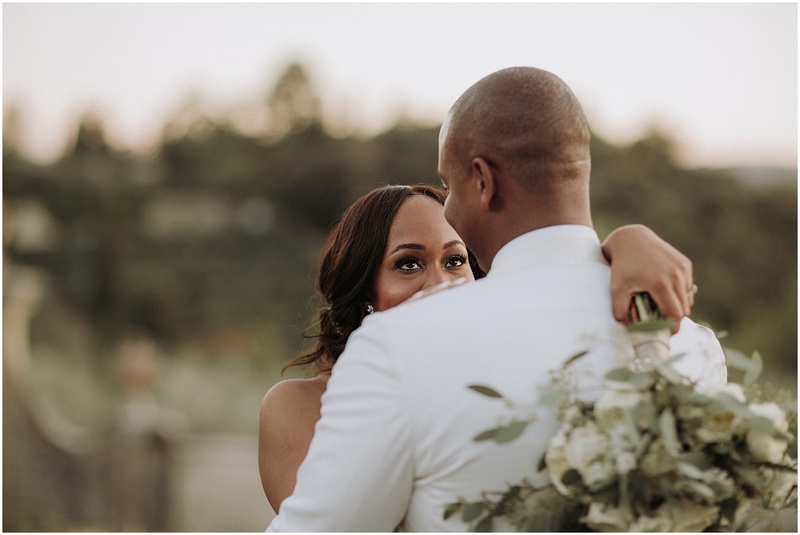 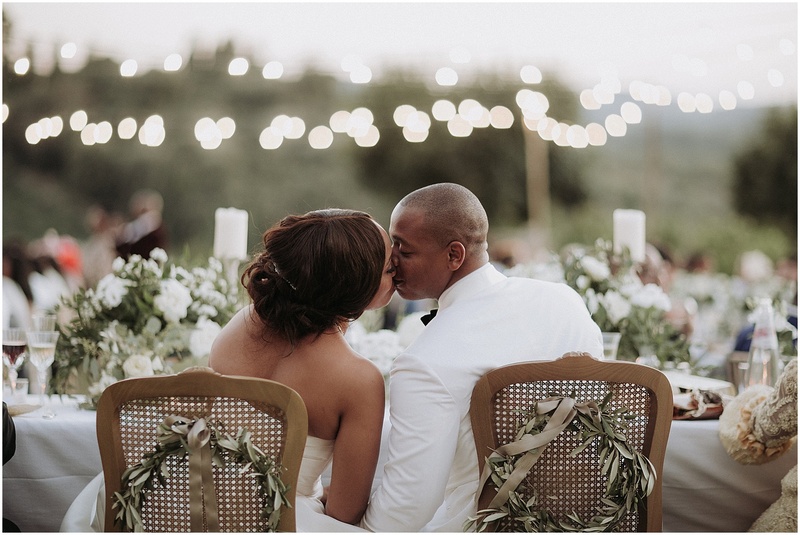 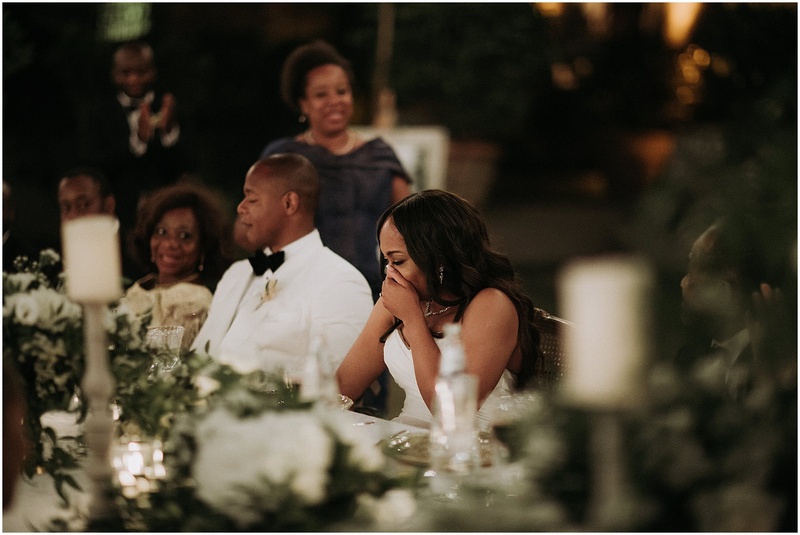 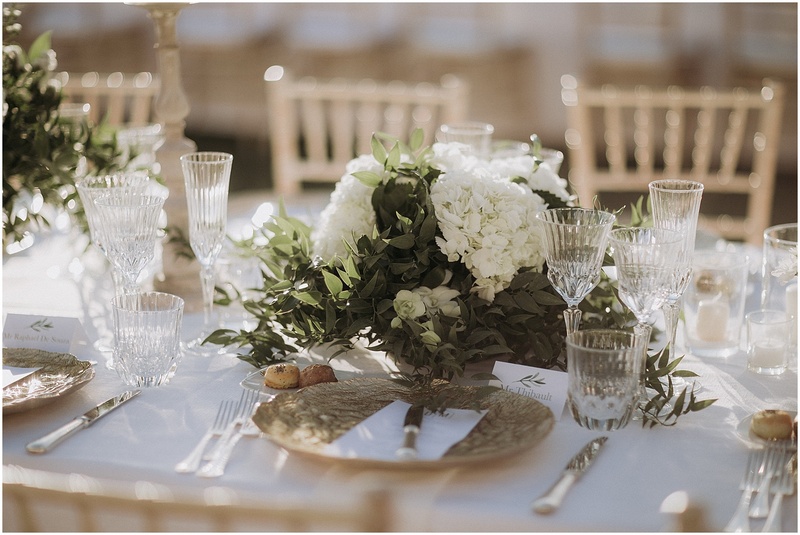 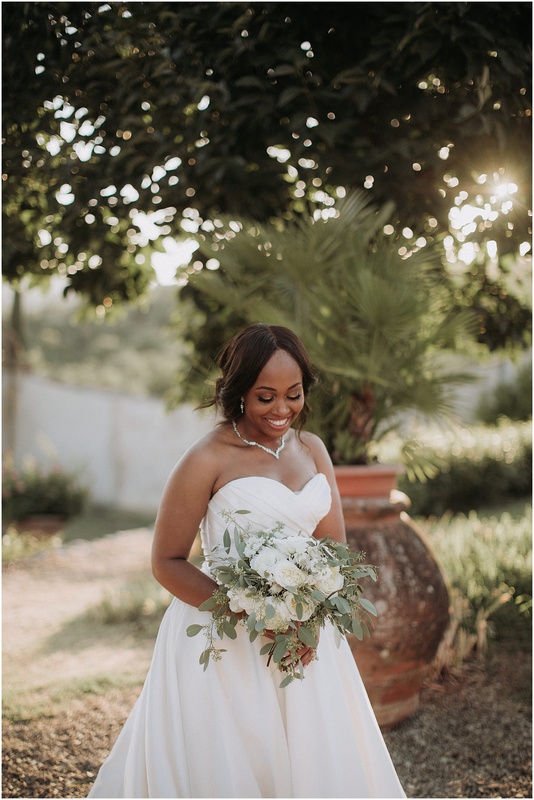 We literally fell in love with the fabulous floral arrangements, all in shades of white. 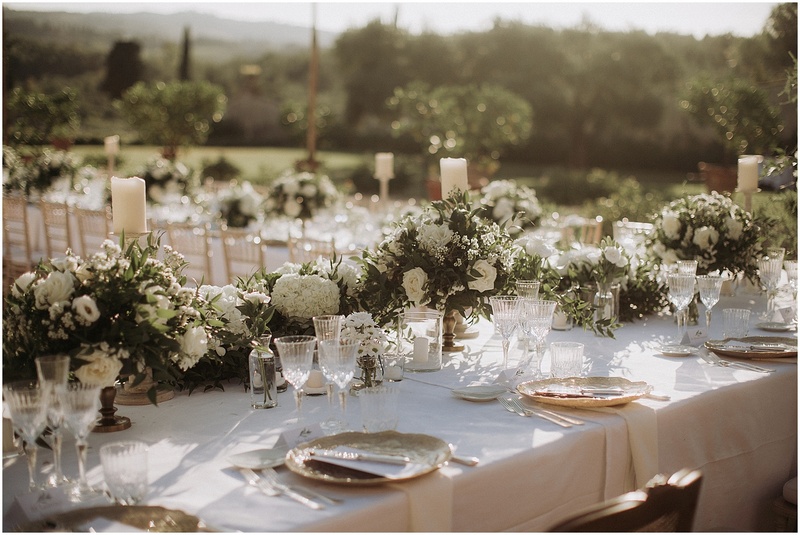 The long horseshoe-shaped Imperial table was literally covered in flowers. 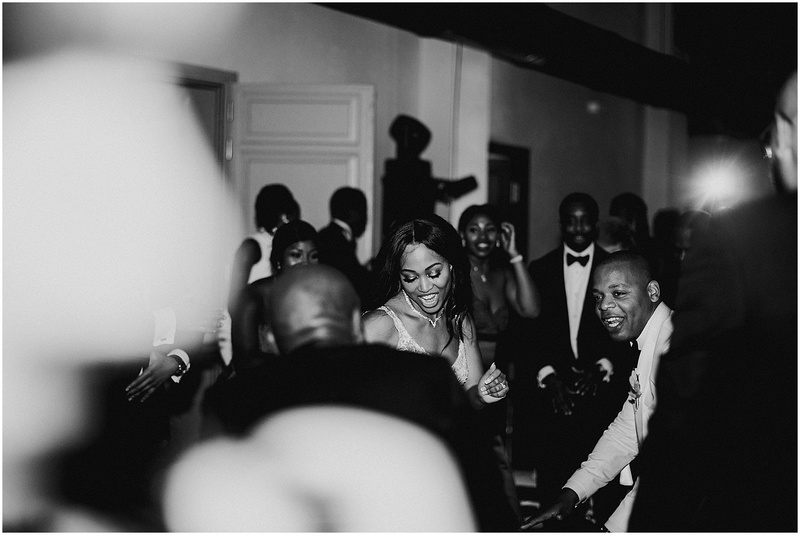 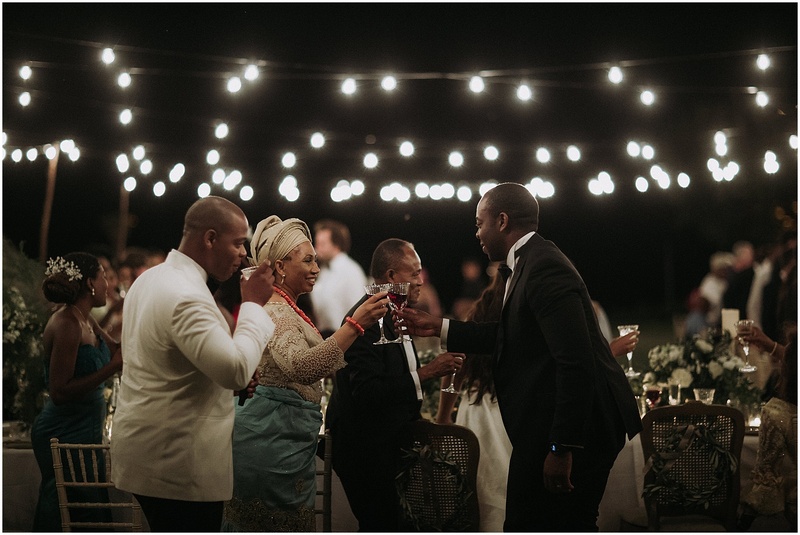 Spouses and guests were very elegant but, at the same time, ready to go wild with the dances. 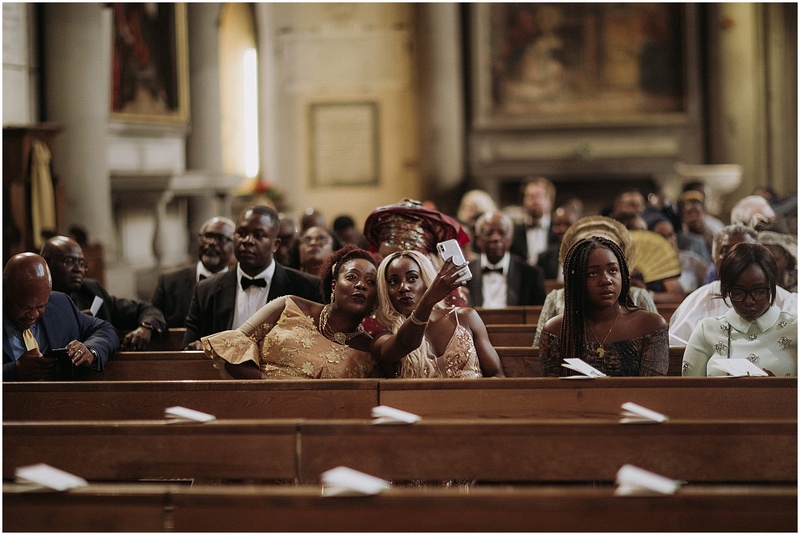 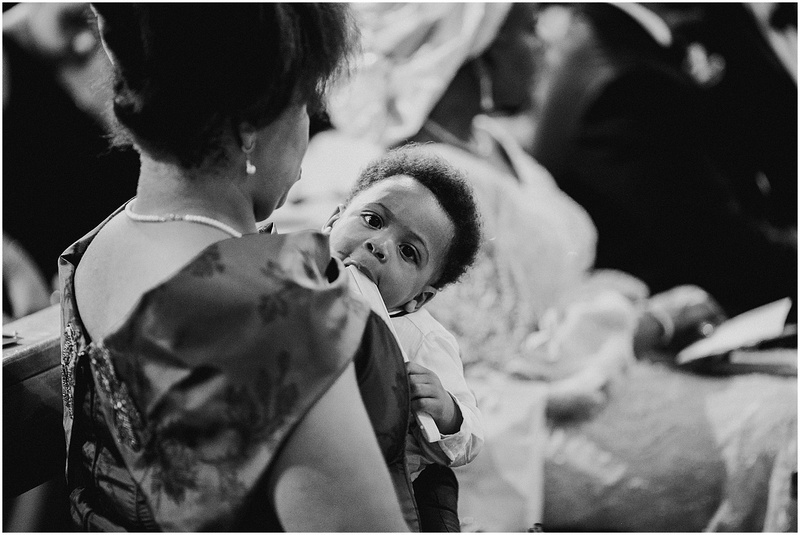 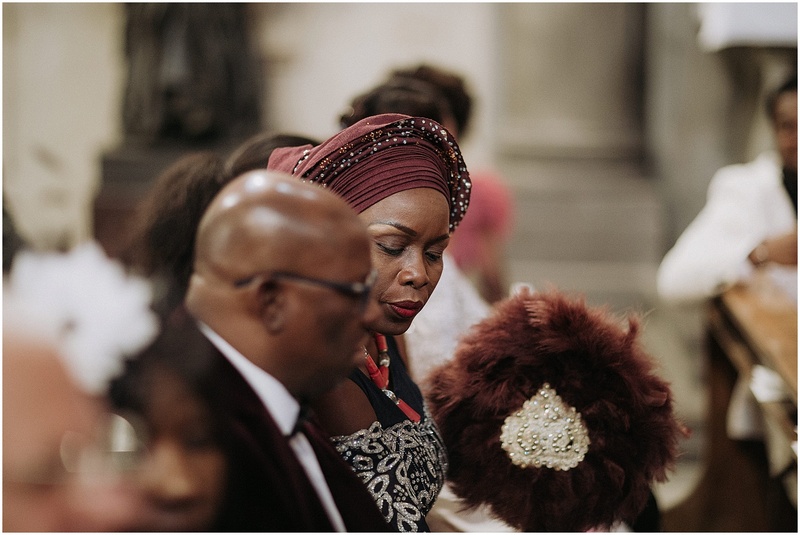 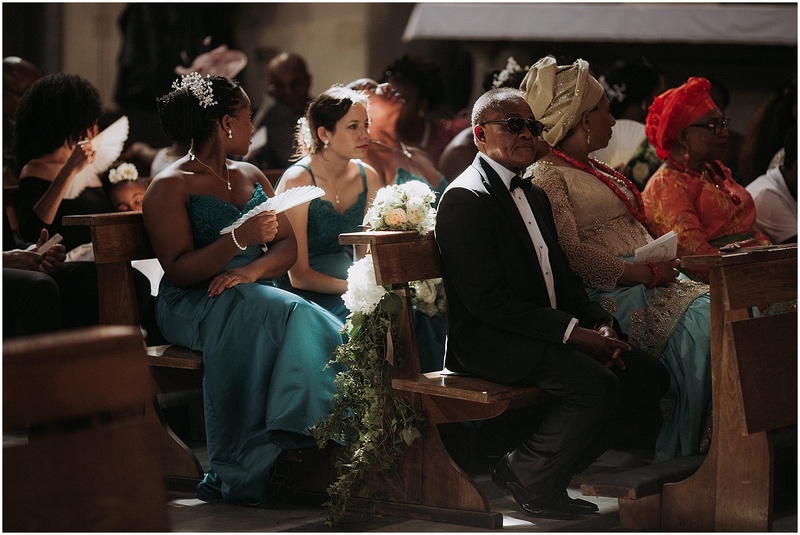 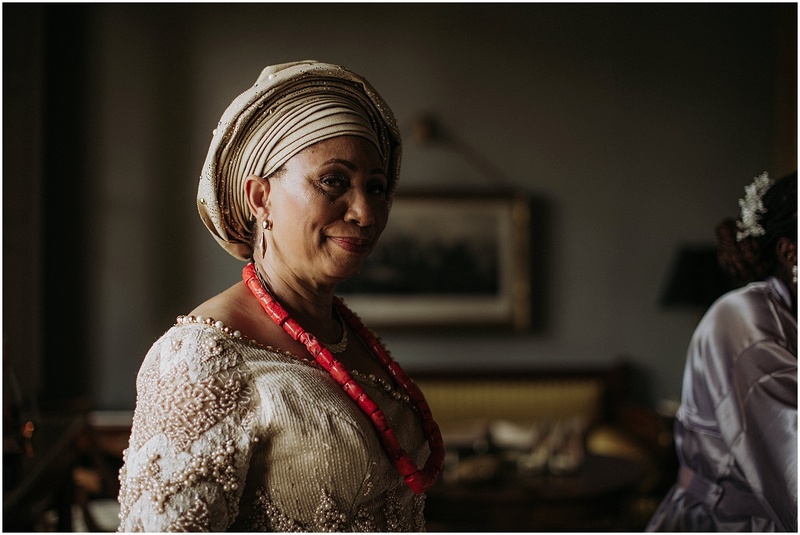 Some guests wore precious traditional African clothes and headdresses. 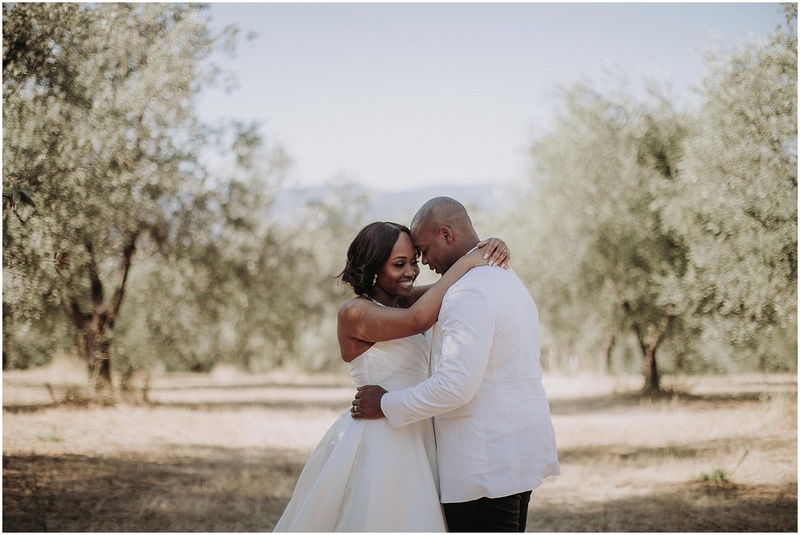 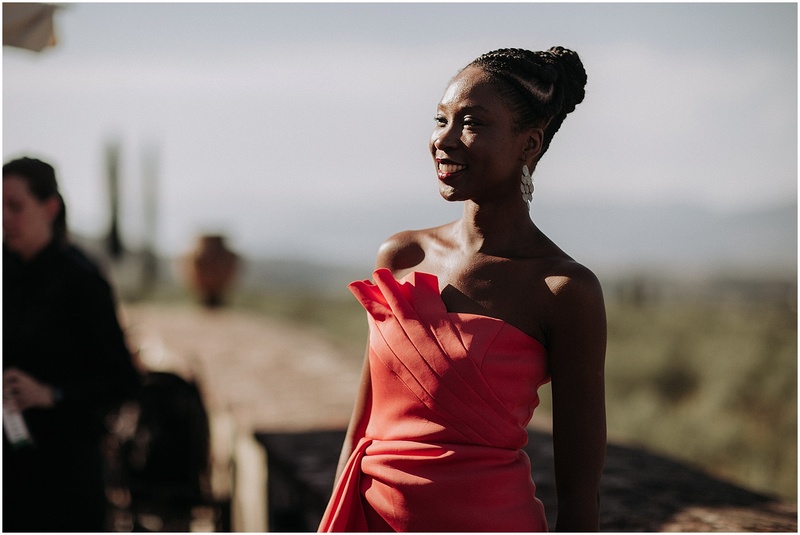 A small piece of Africa transported to the Chianti hills. 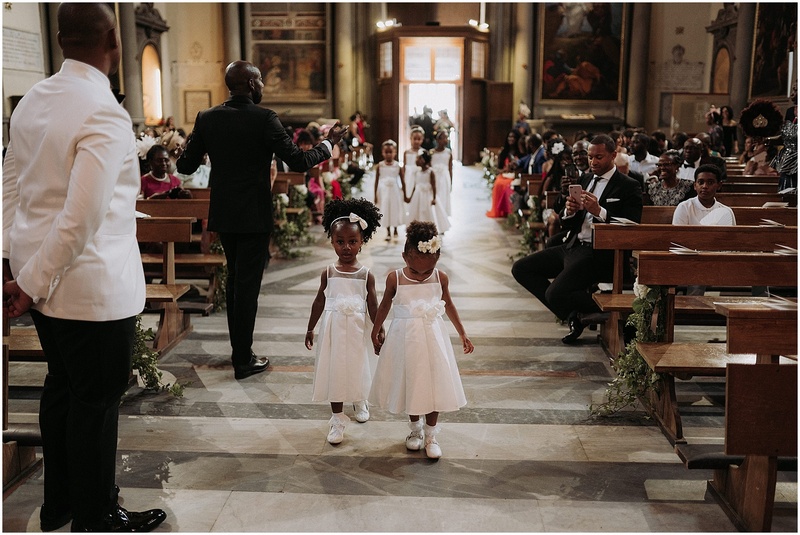 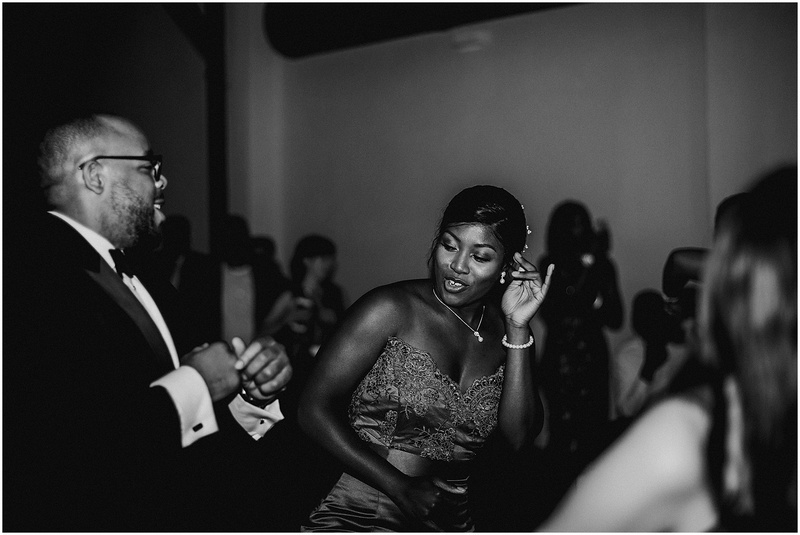 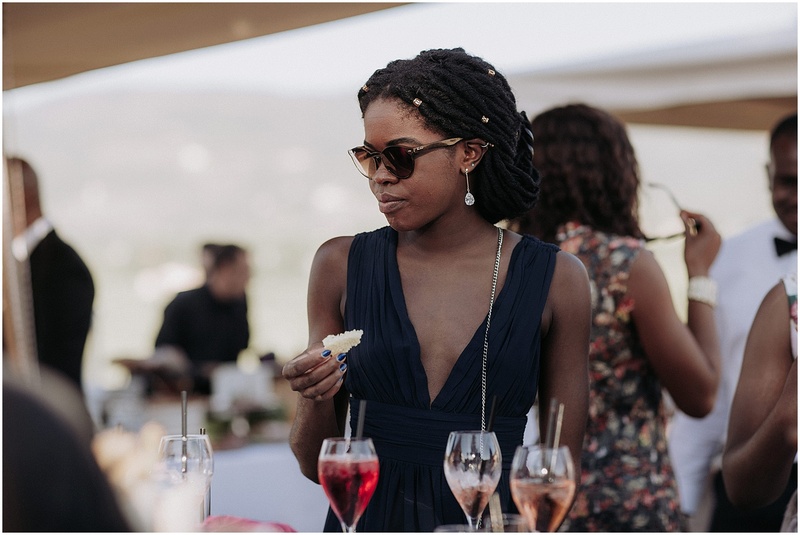 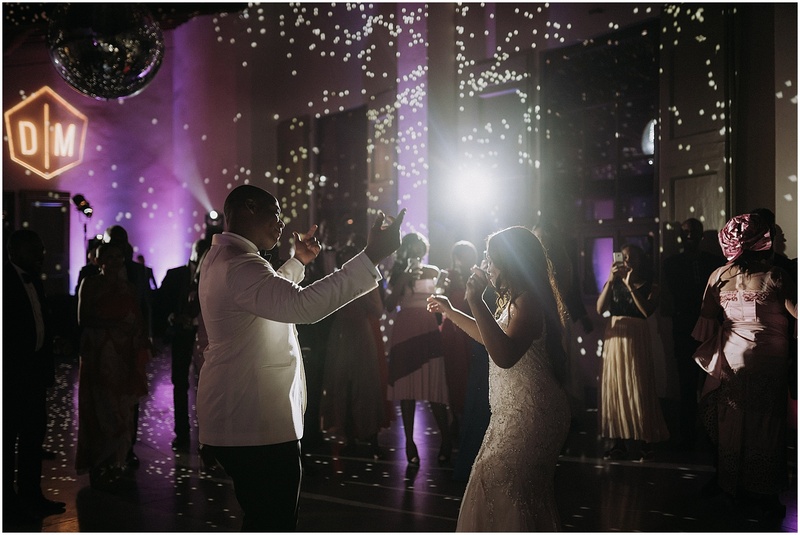 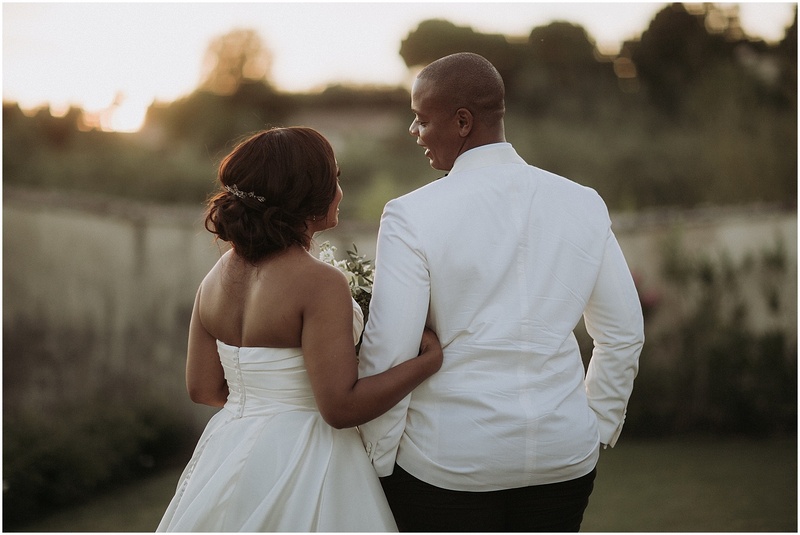 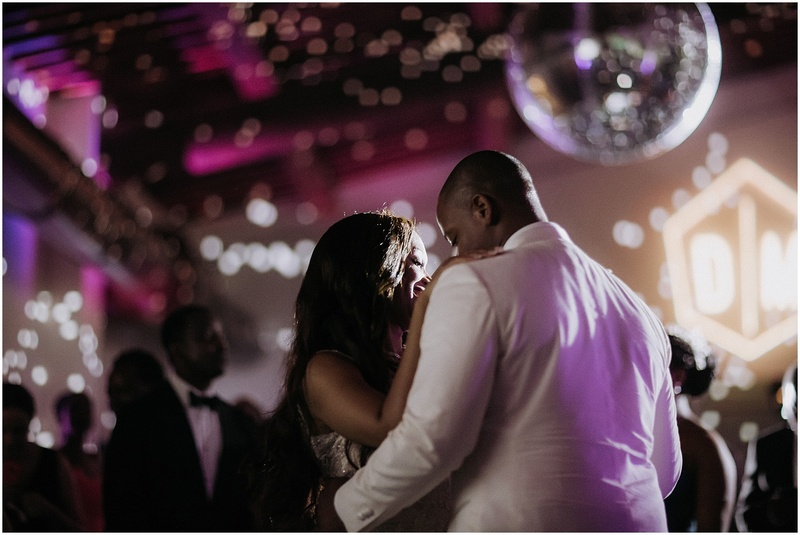 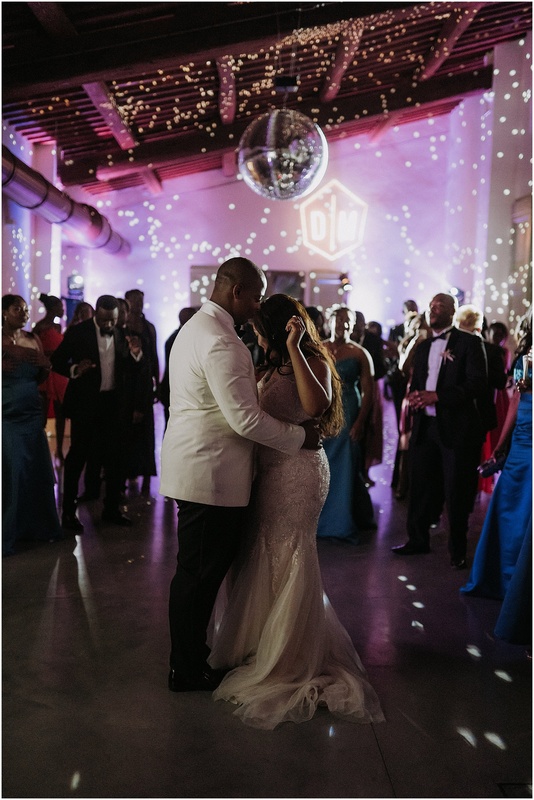 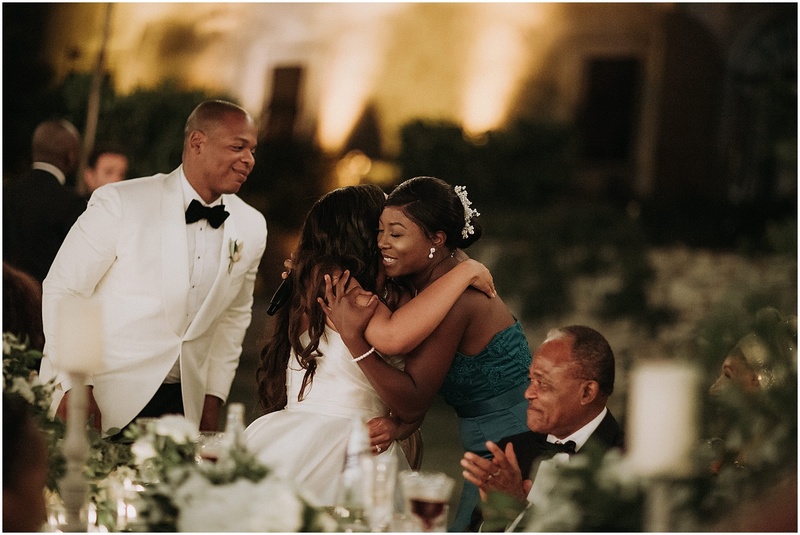 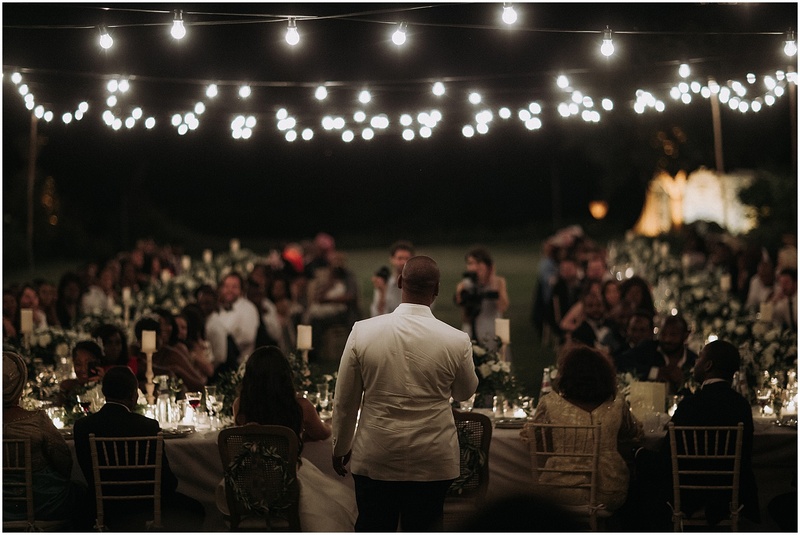 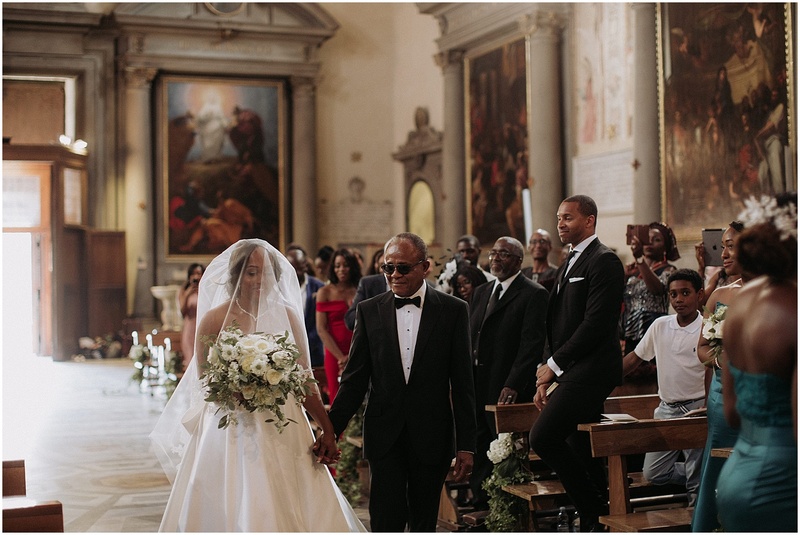 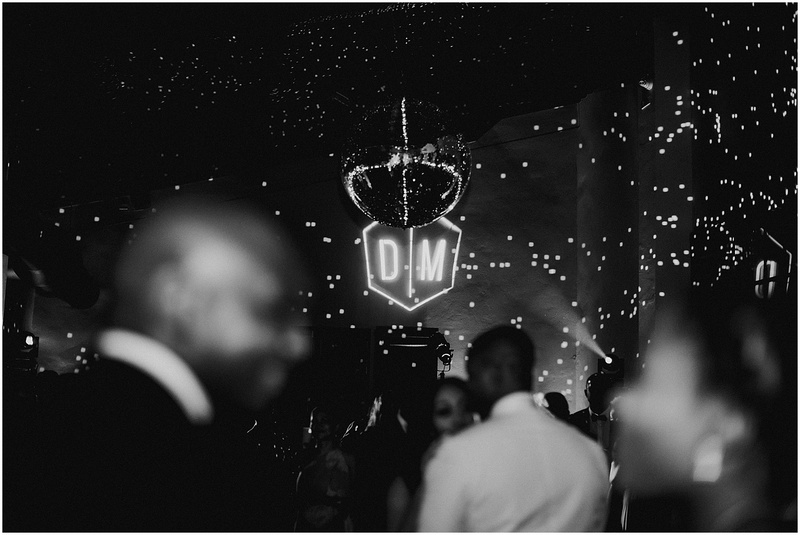 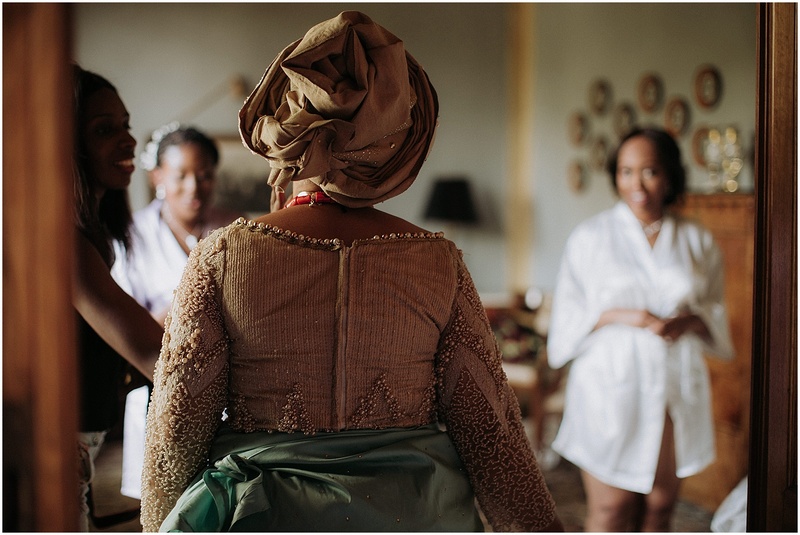 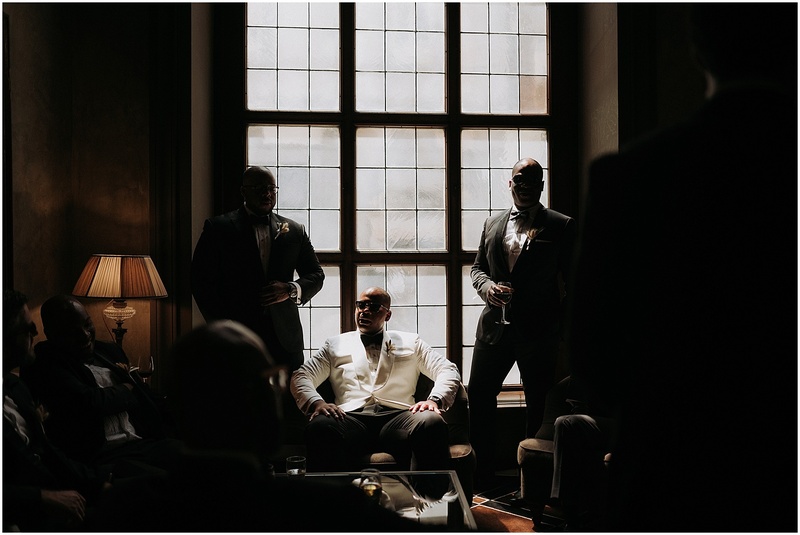 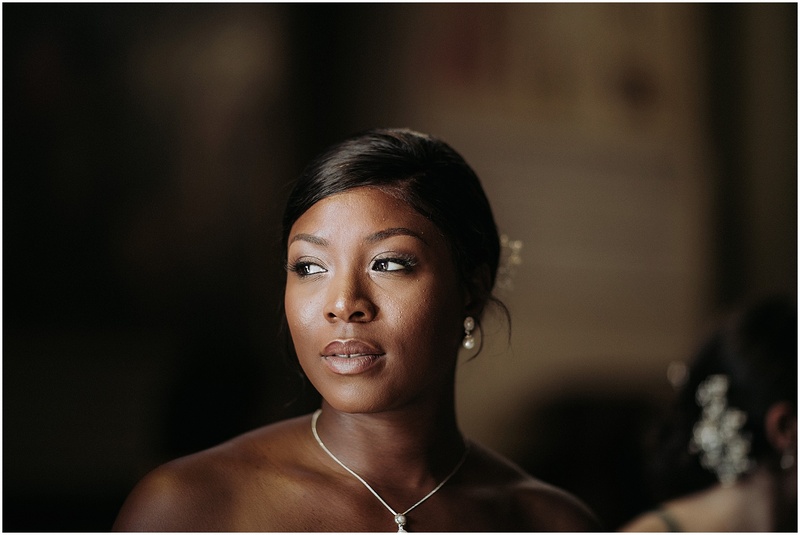 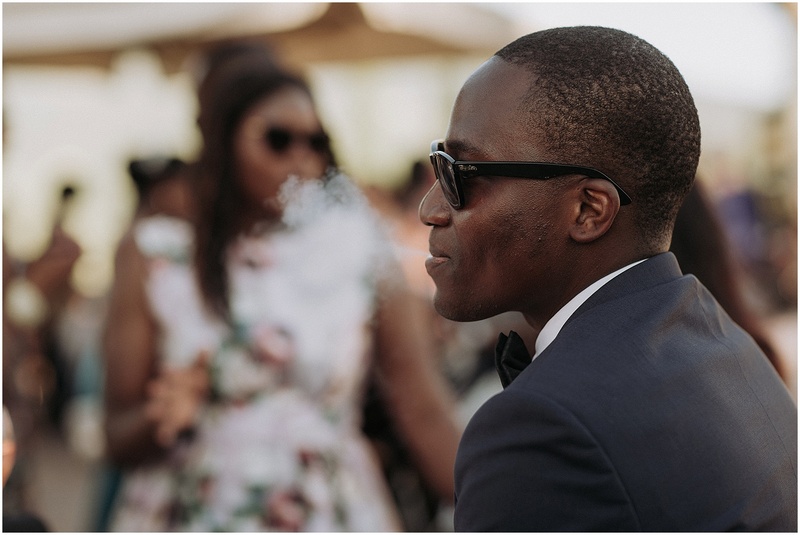 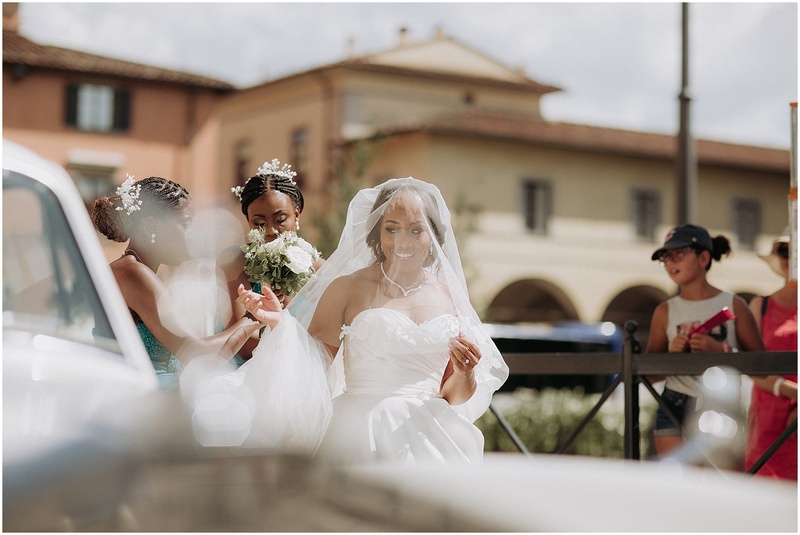 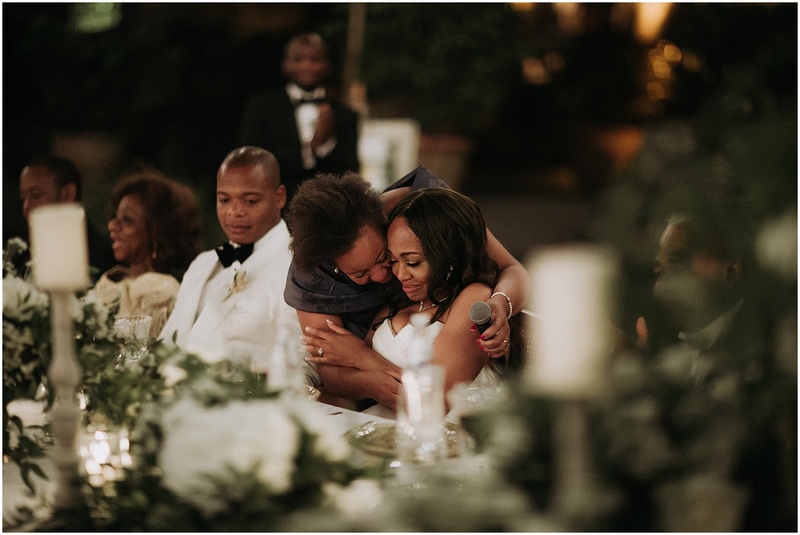 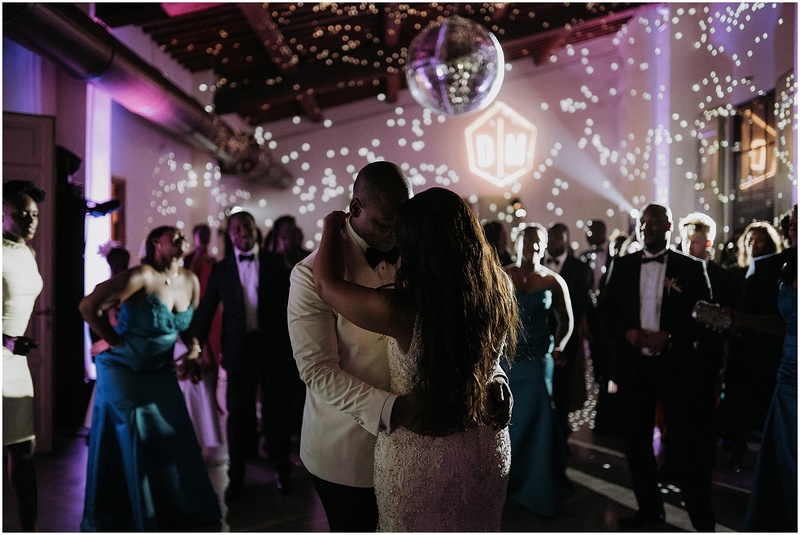 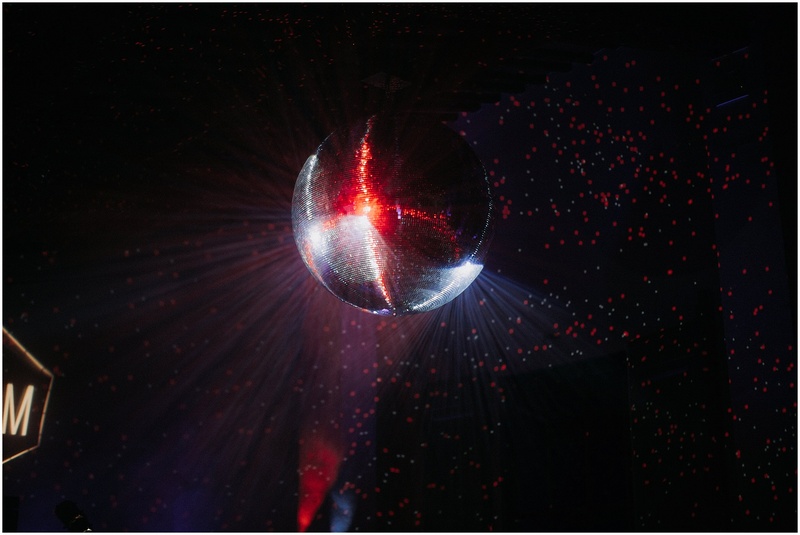 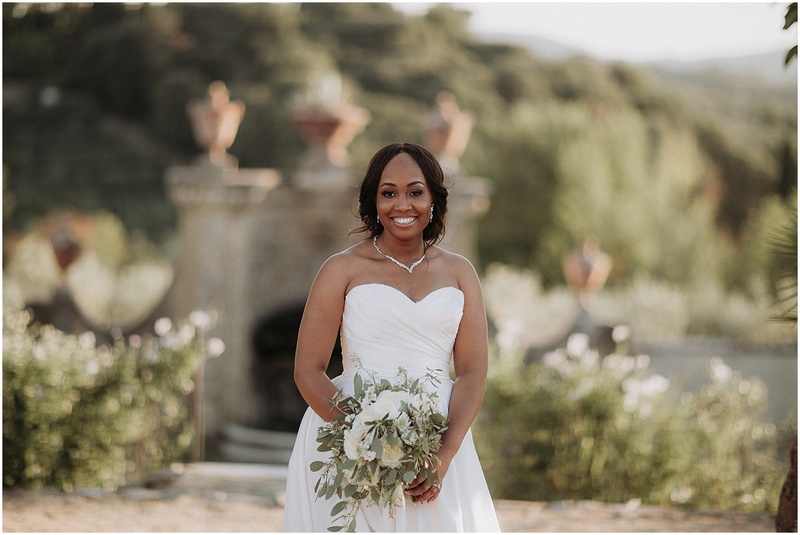 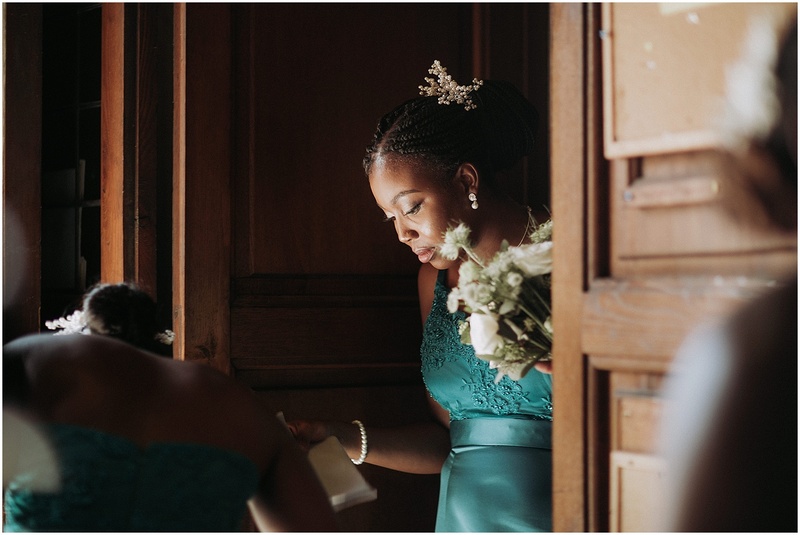 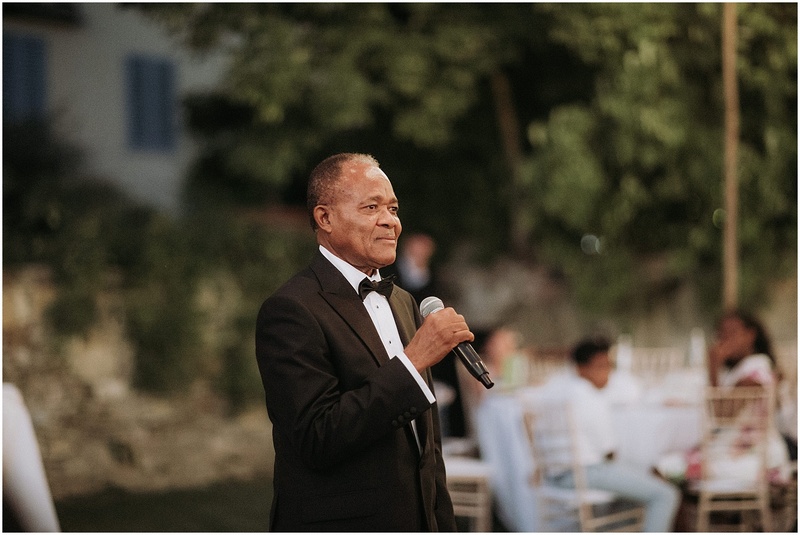 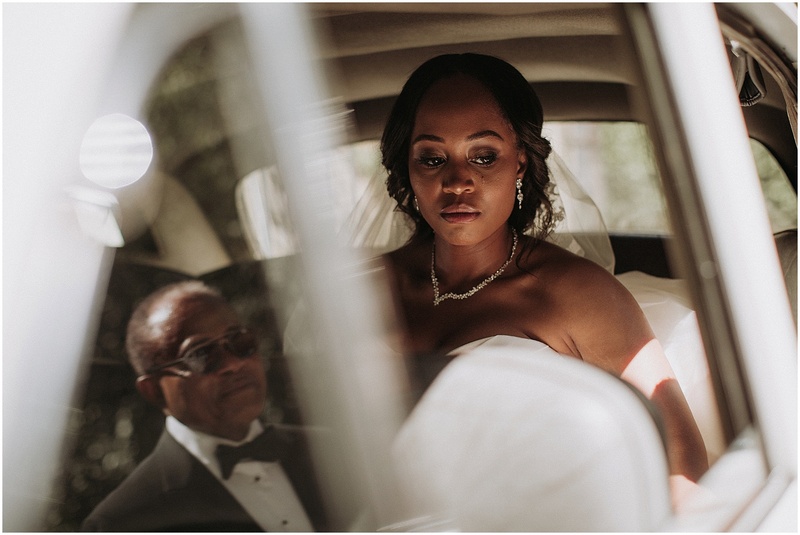 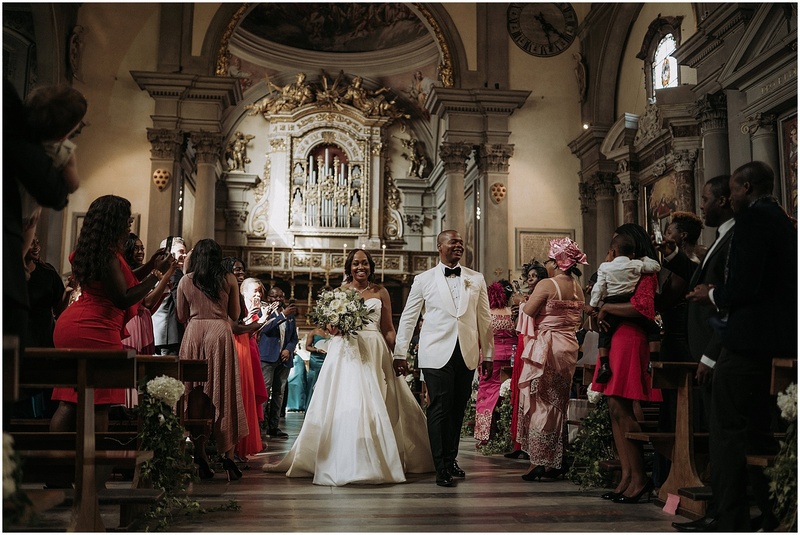 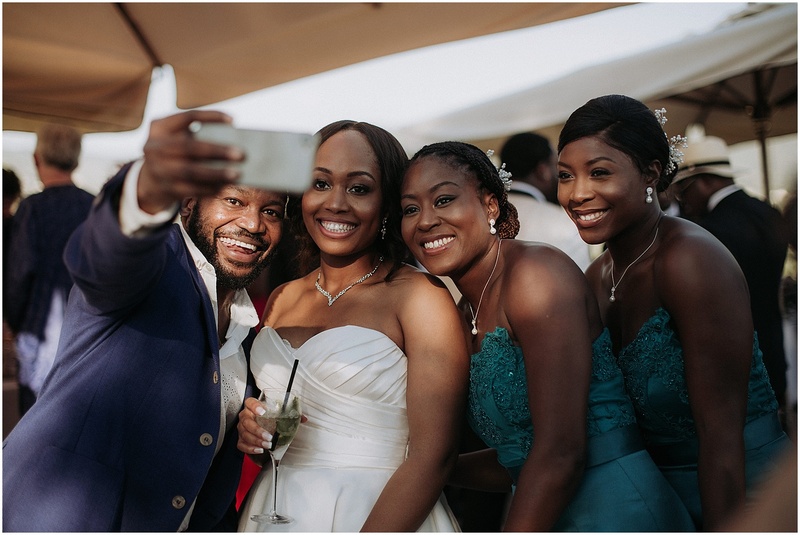 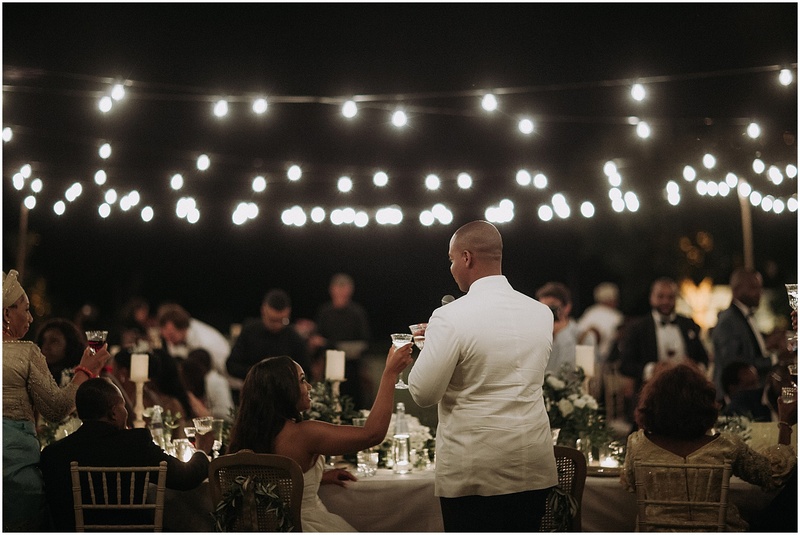 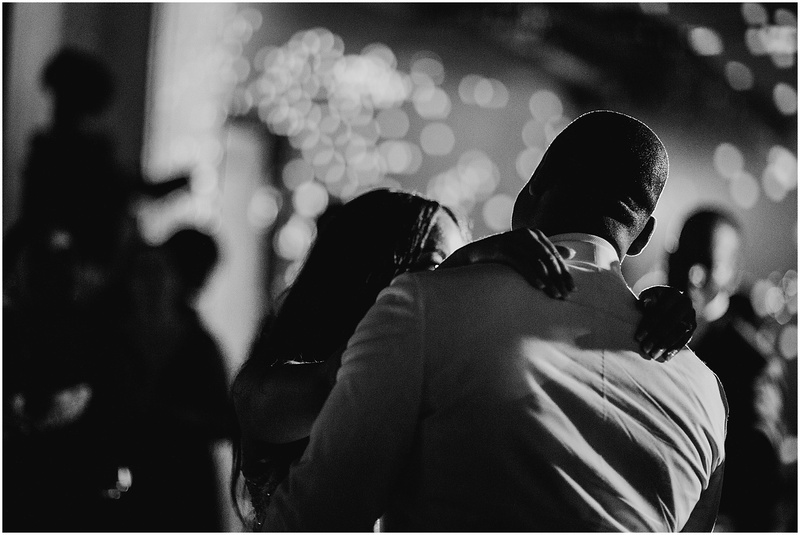 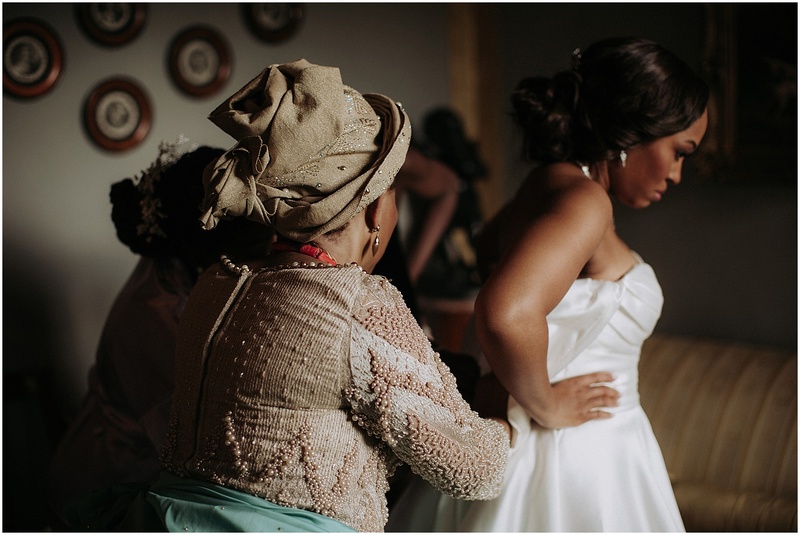 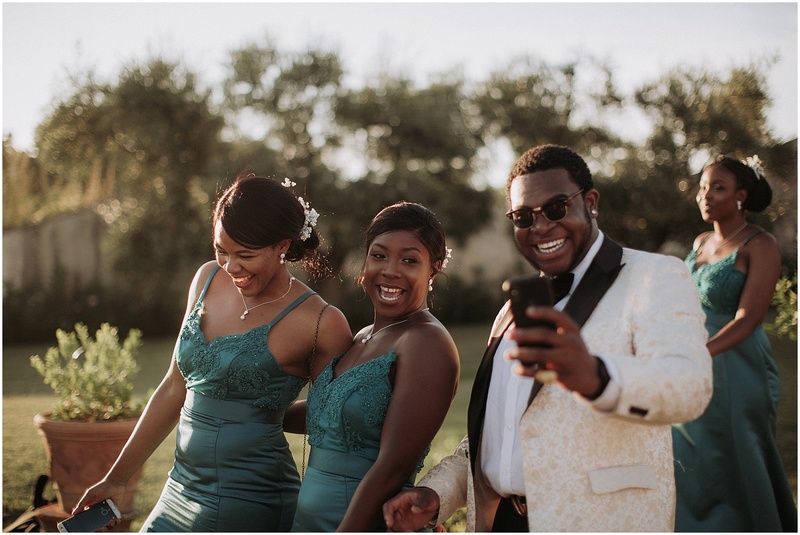 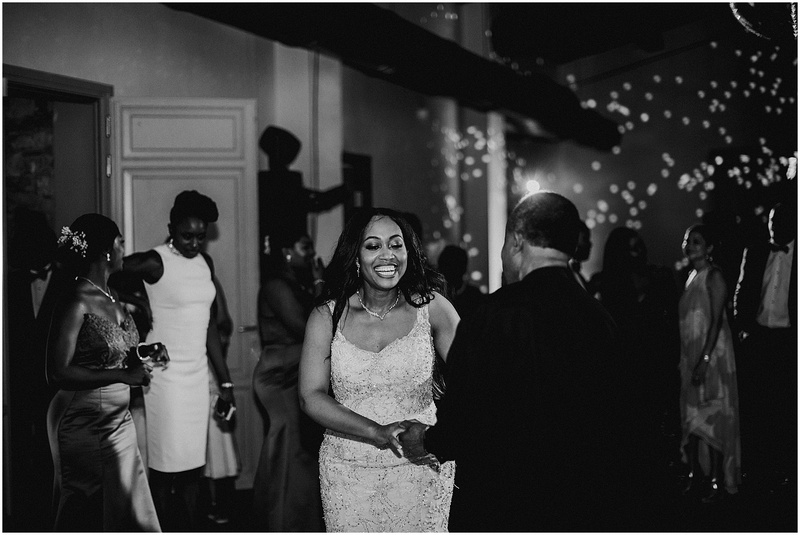 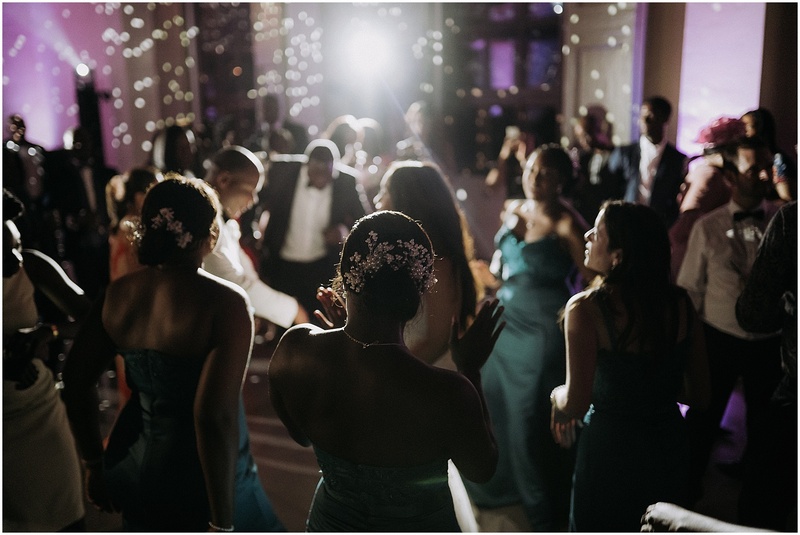 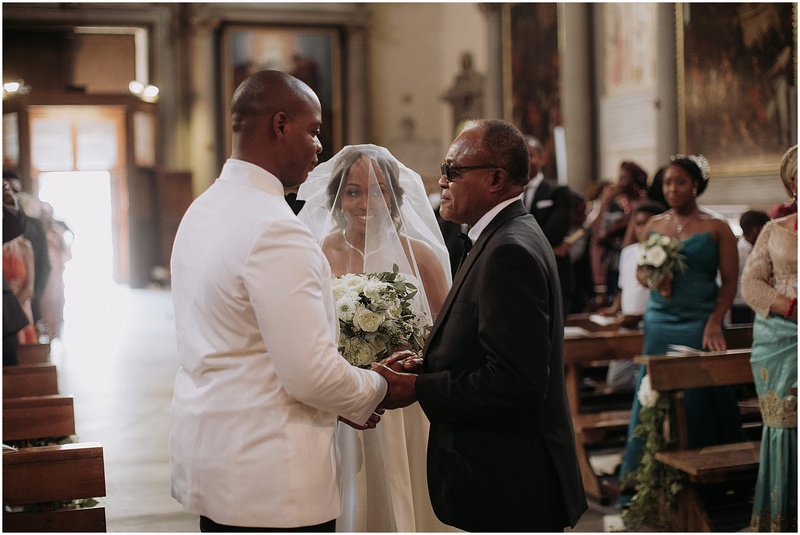 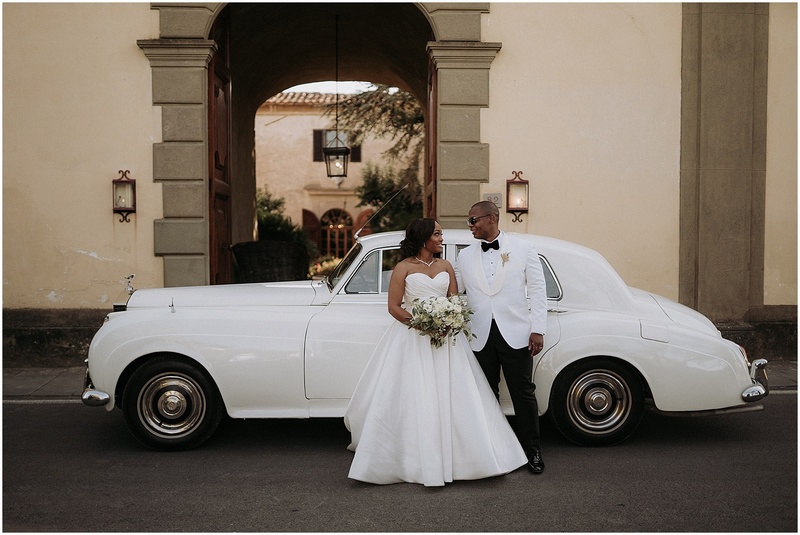 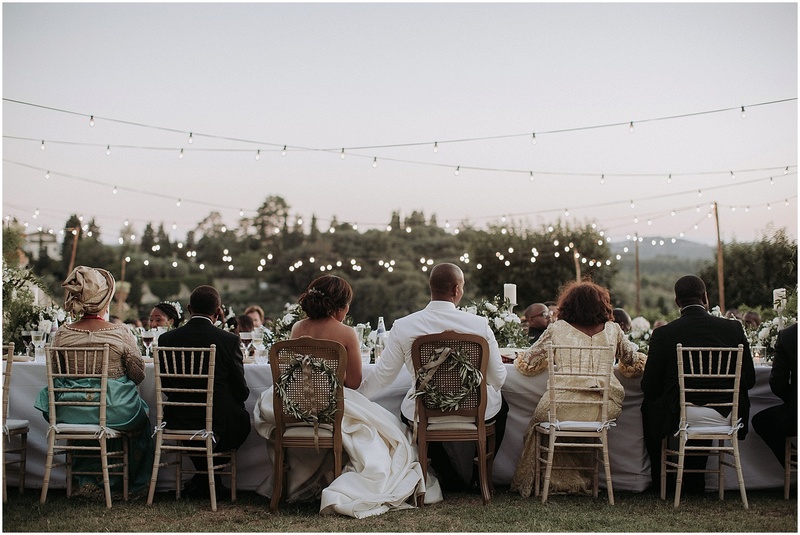 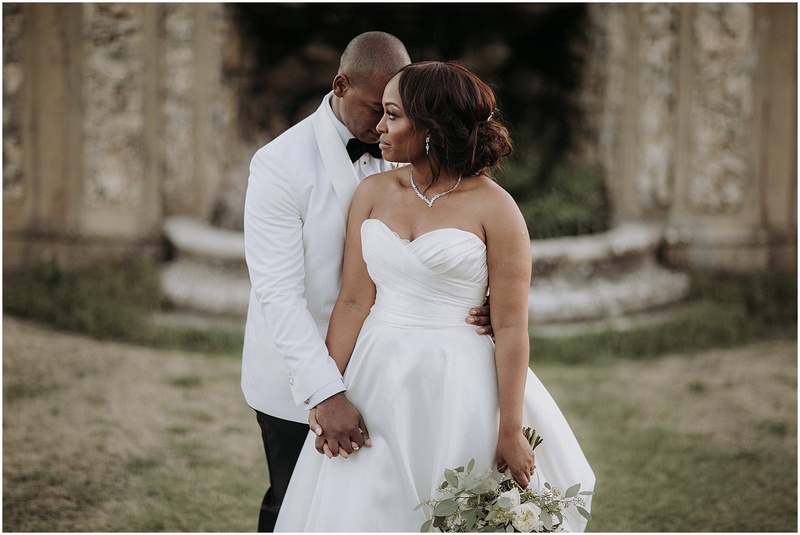 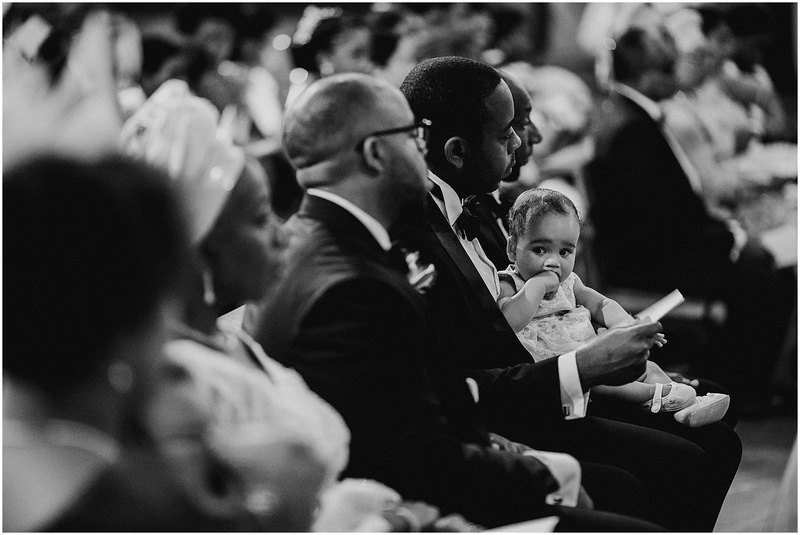 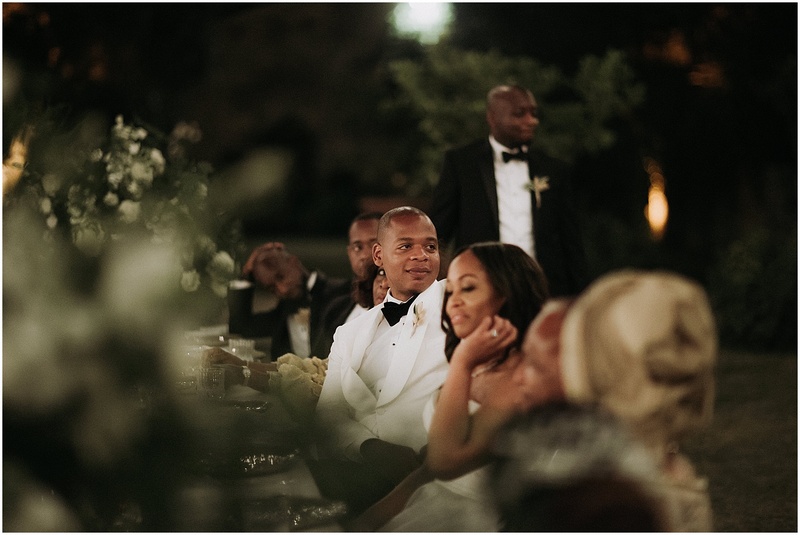 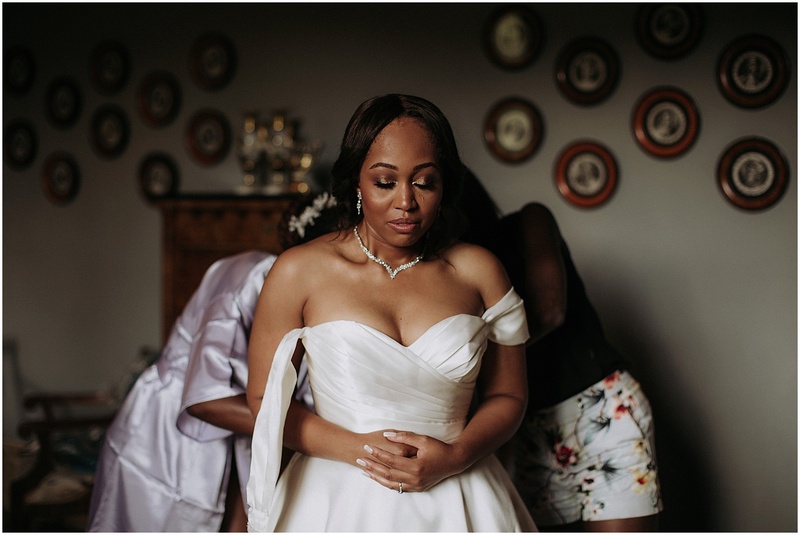 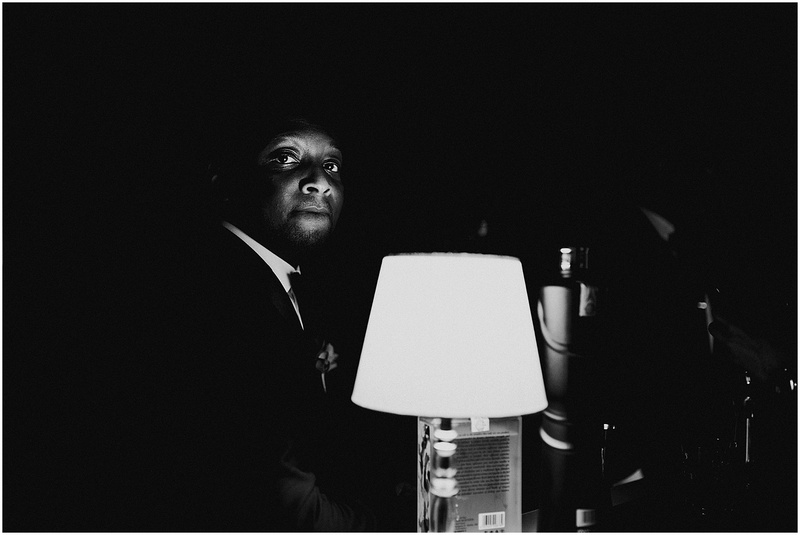 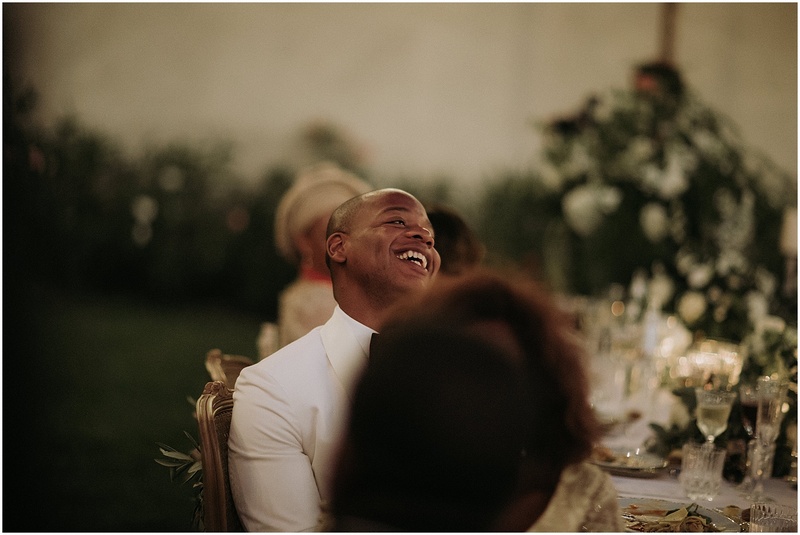 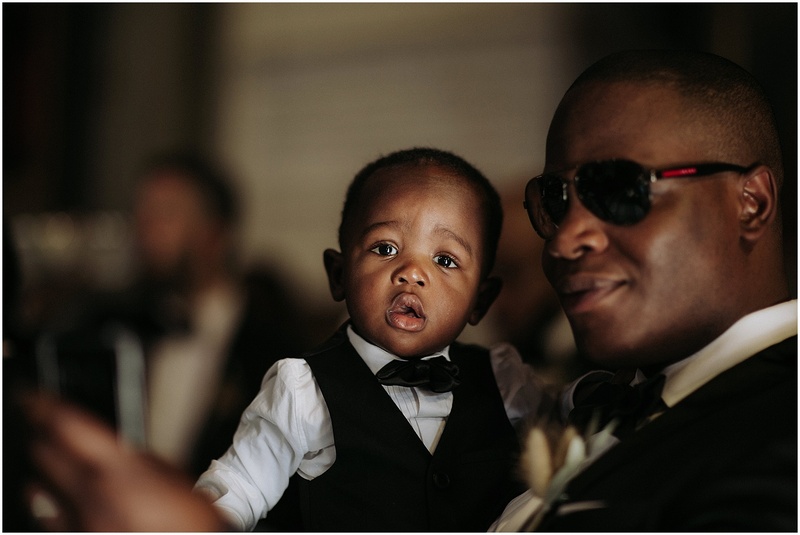 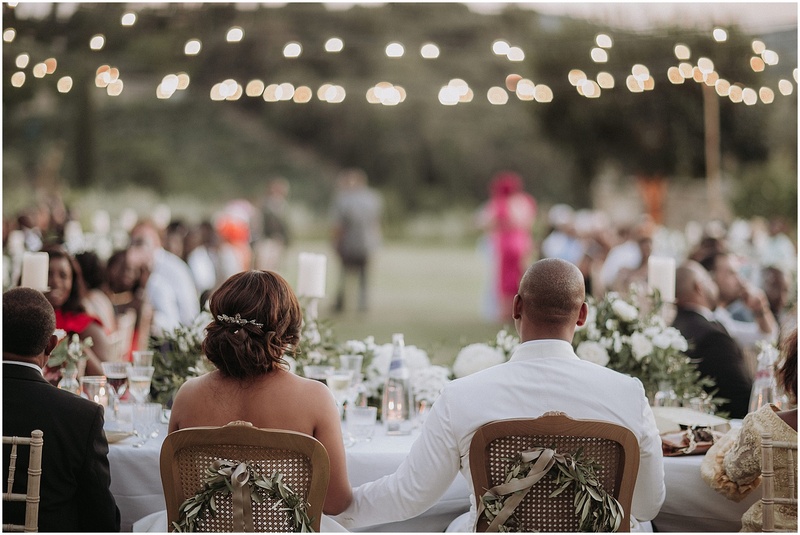 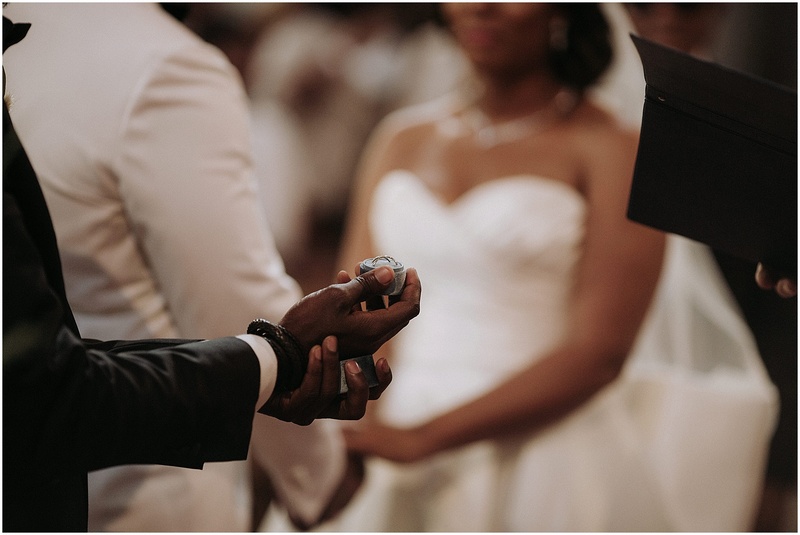 It must not have been easy to manage an event of this size, but Laura of Tuscan DMC has managed to organize everything impeccably and to turn a dream into reality. 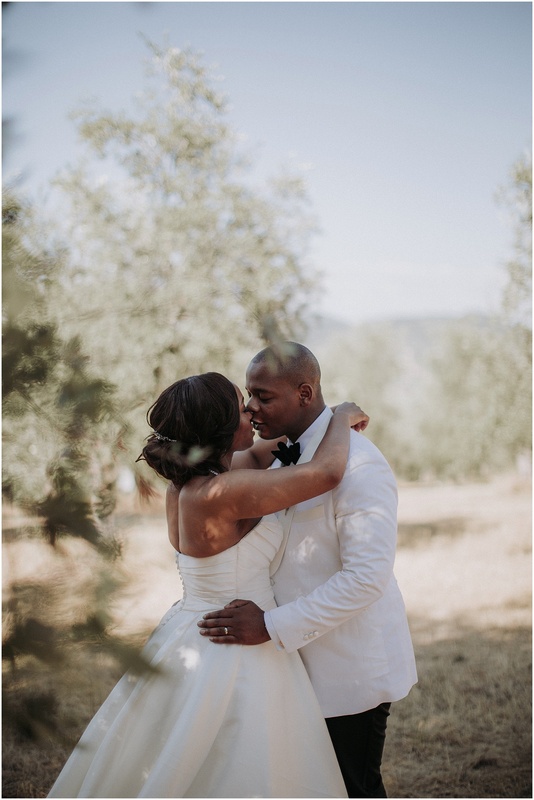 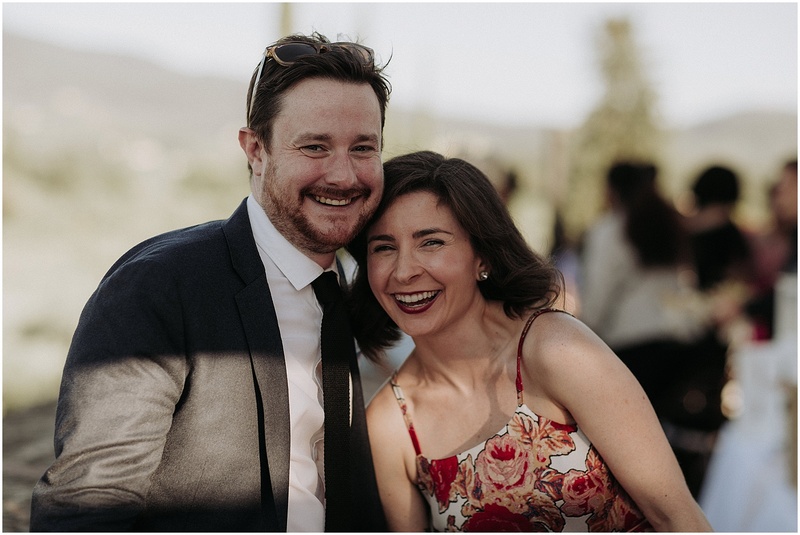 A big thank you to these lovely spouses, who chose us to share an extraordinary day with them, to the managers of Villa di Lilliano for their hospitality and the incredible Supplier team we worked with (their credits are at the bottom of the post ), for making our work so enjoyable and exciting.